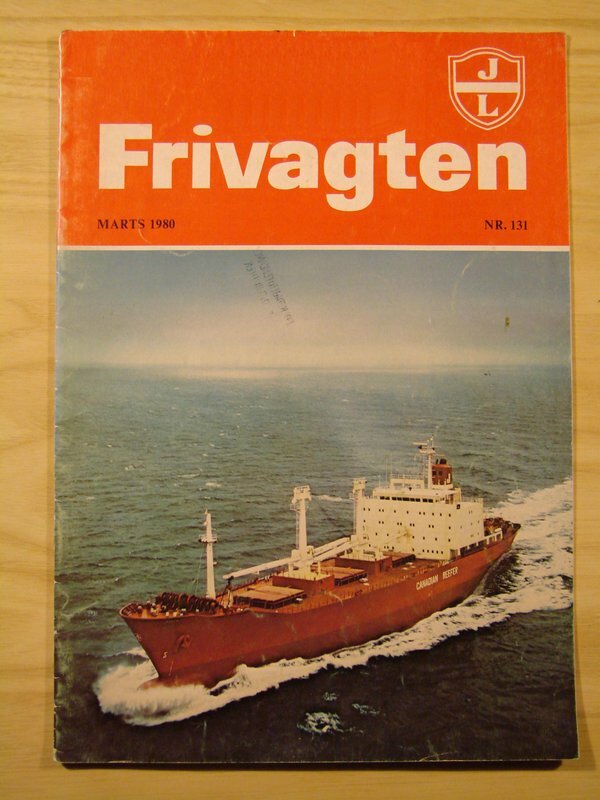 A magazine that was so much more than a newsletter. 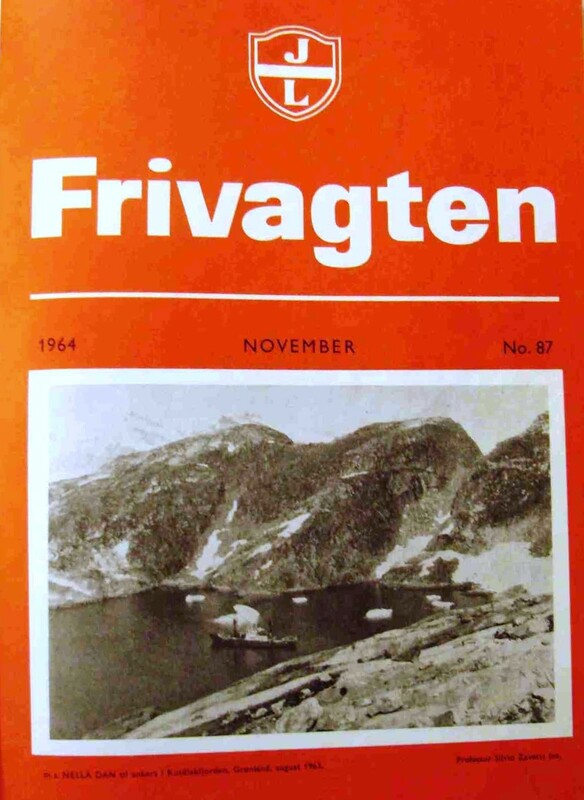 The company’s magazine premiered in 1937. 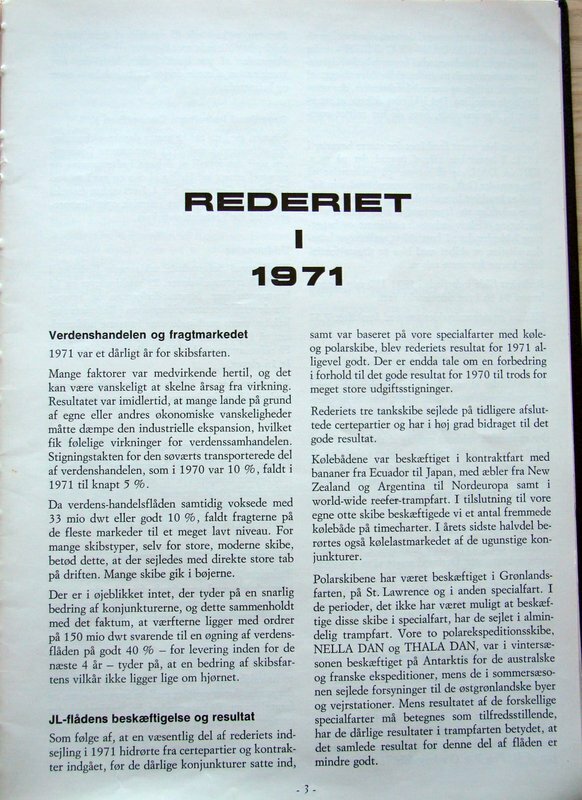 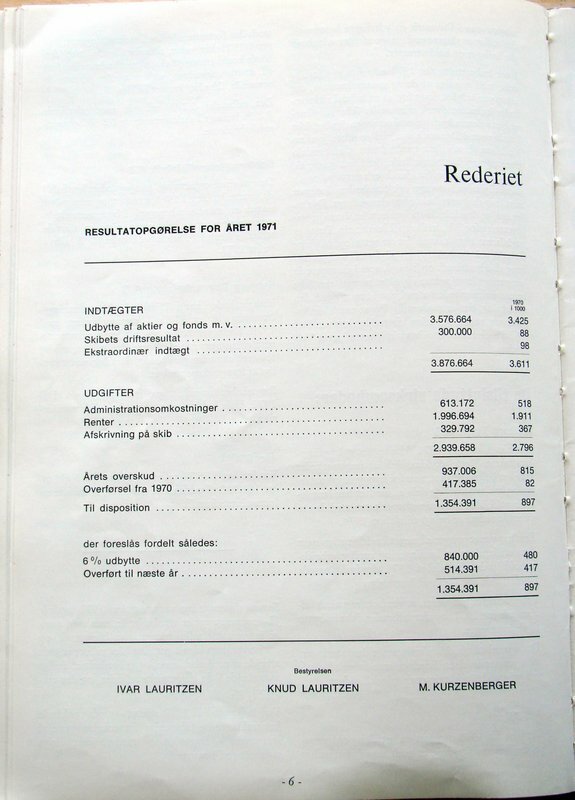 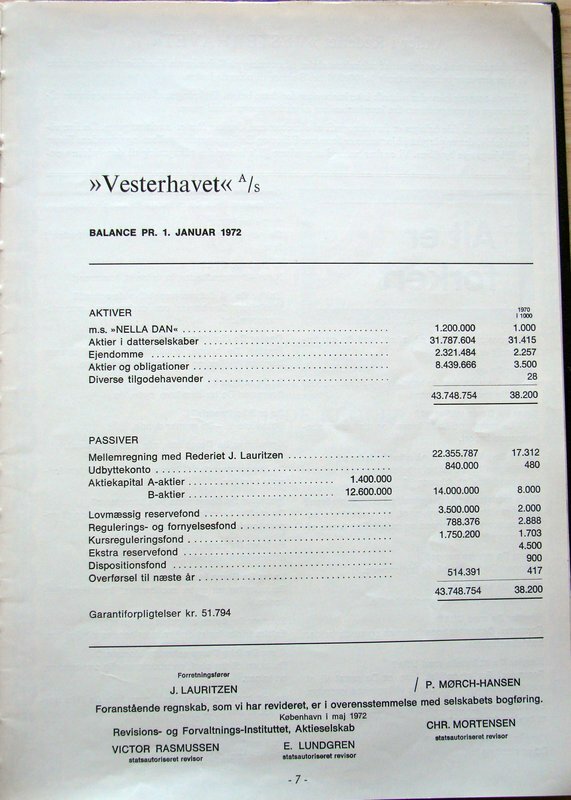 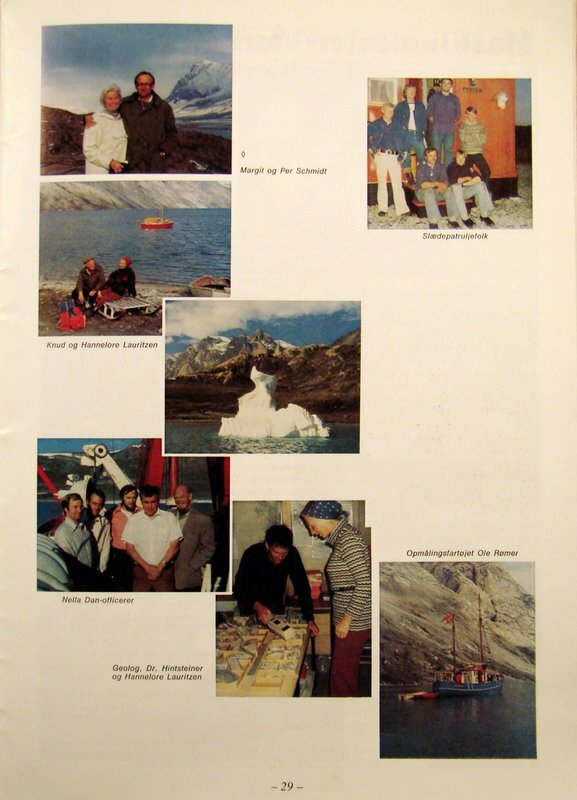 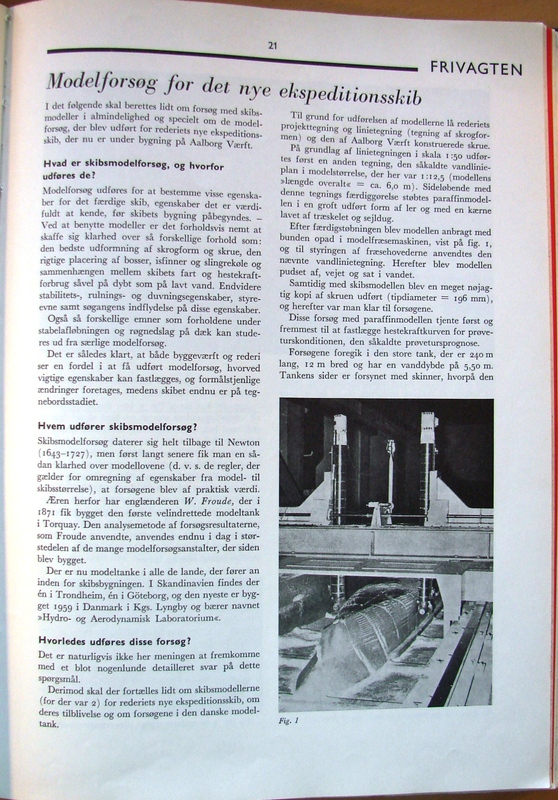 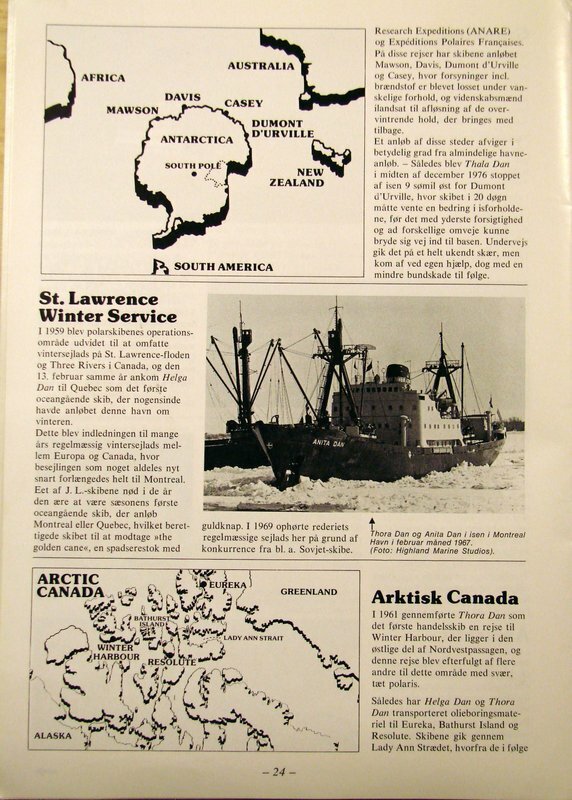 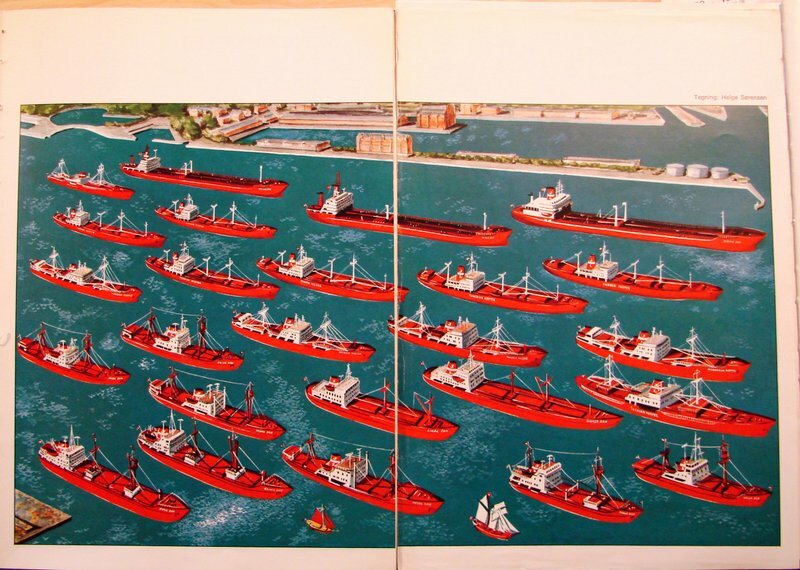 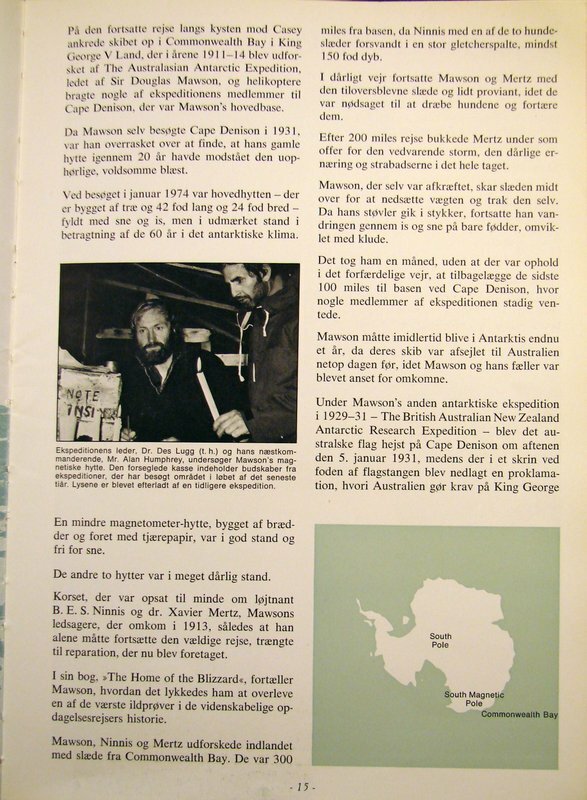 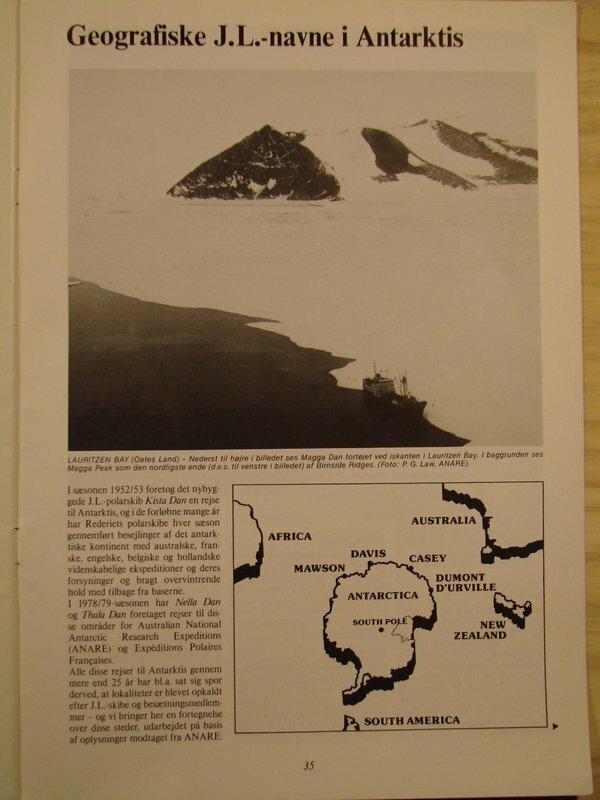 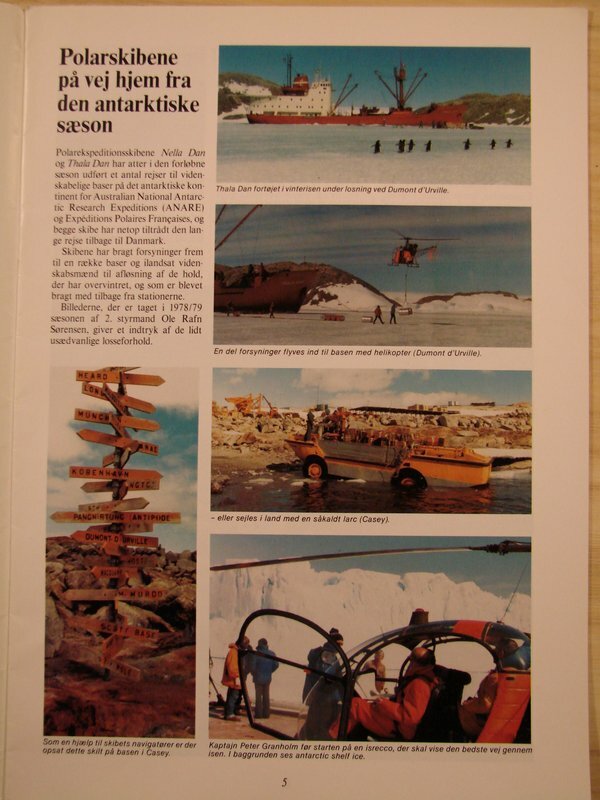 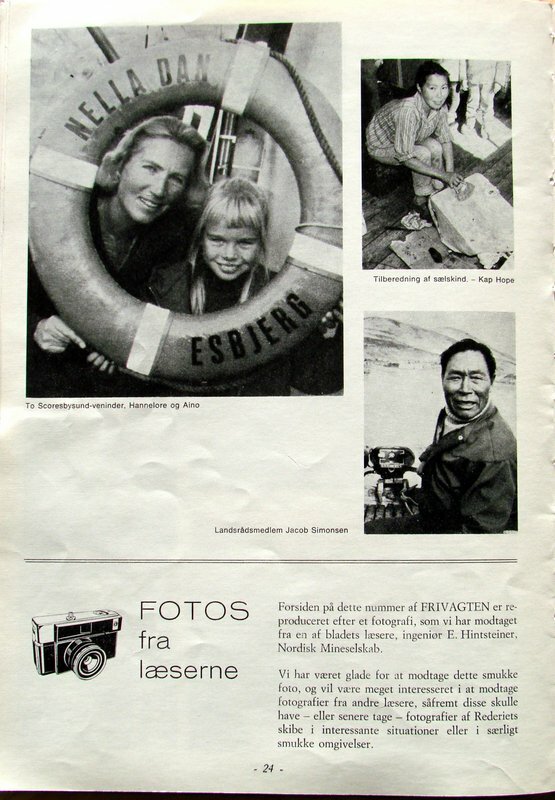 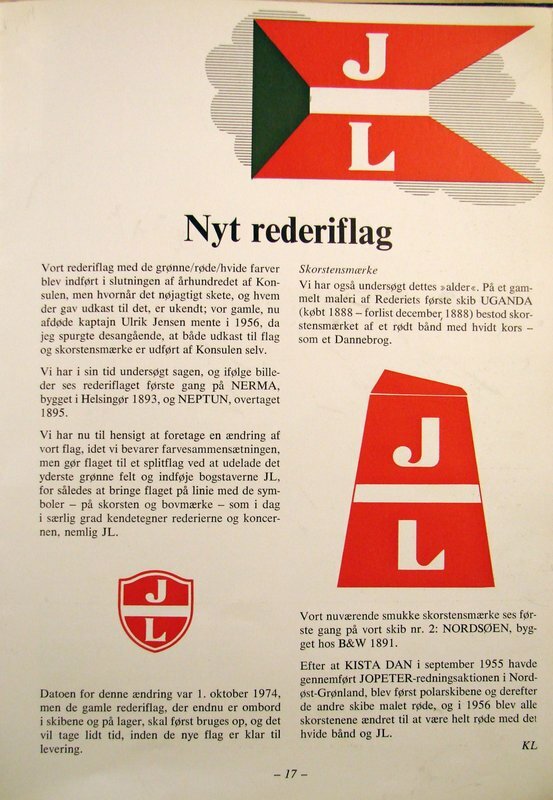 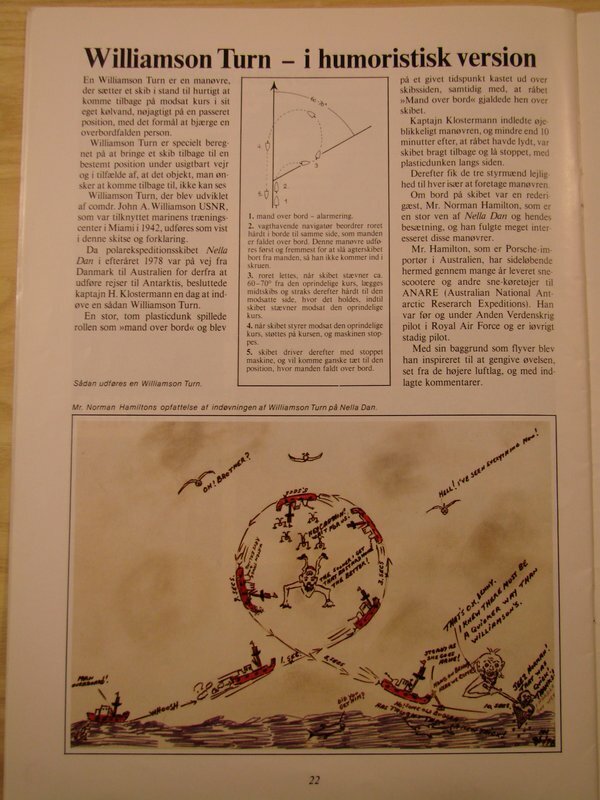 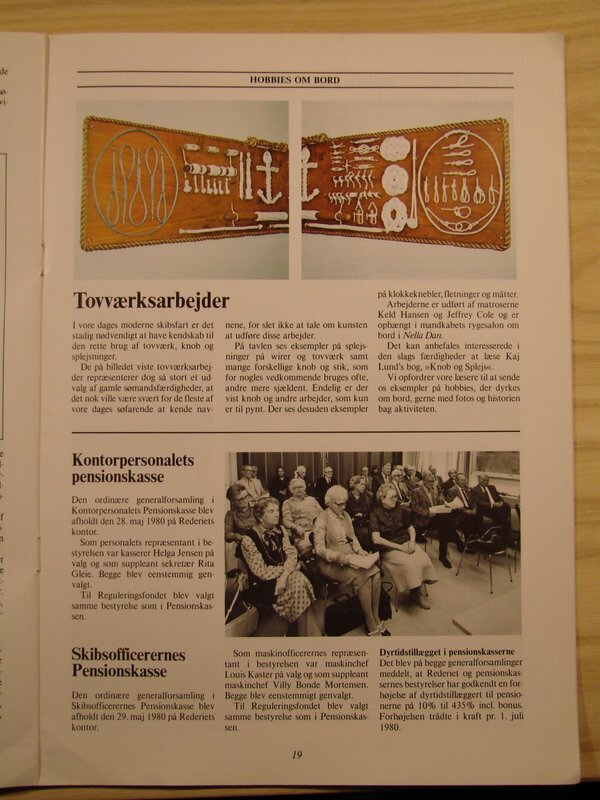 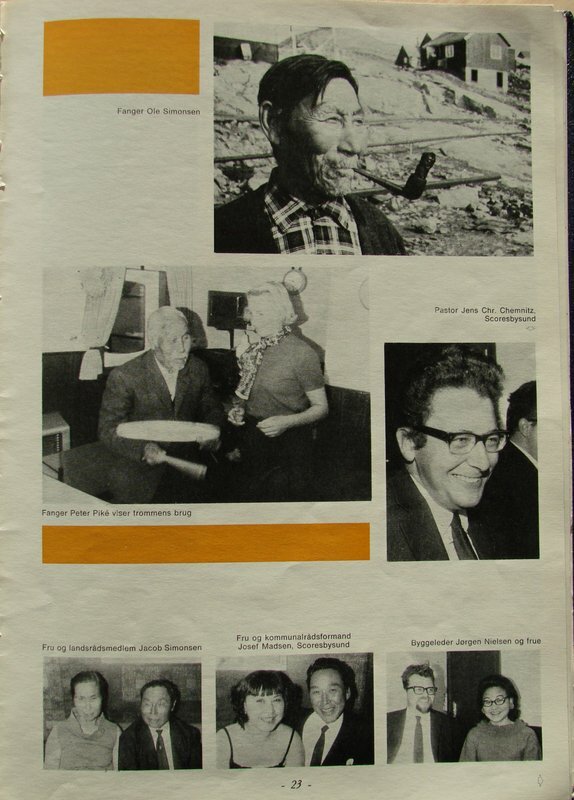 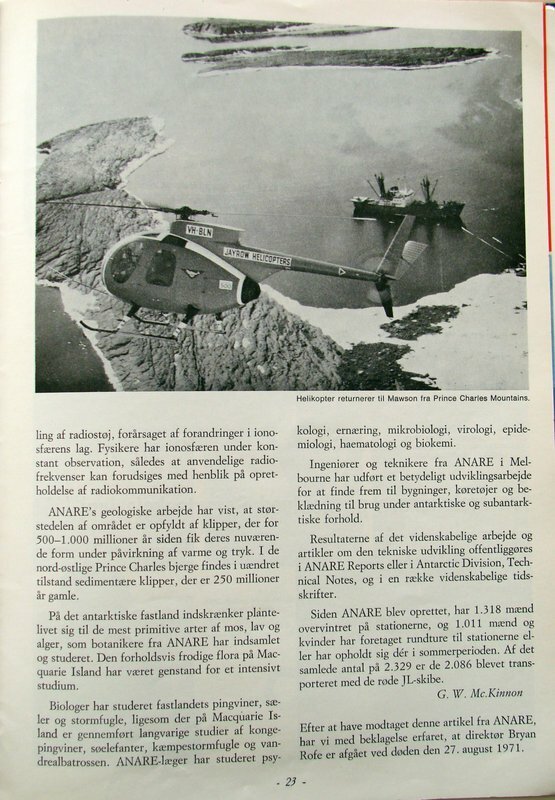 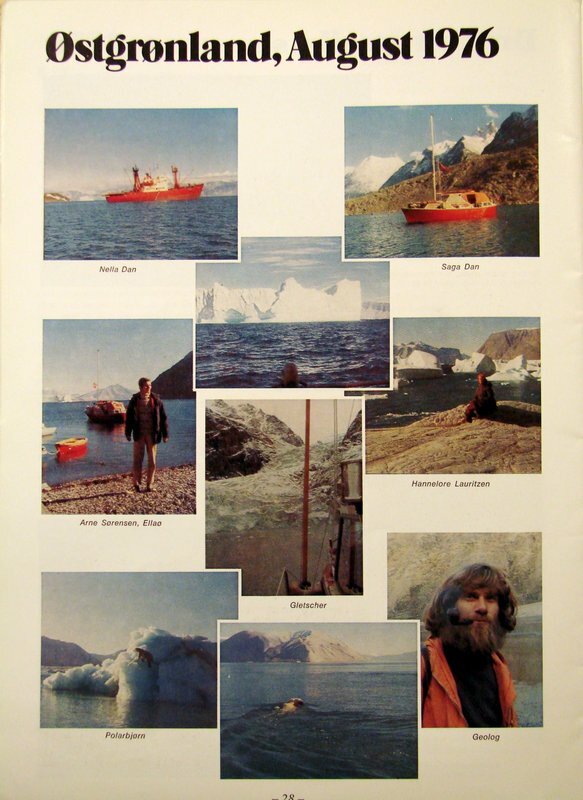 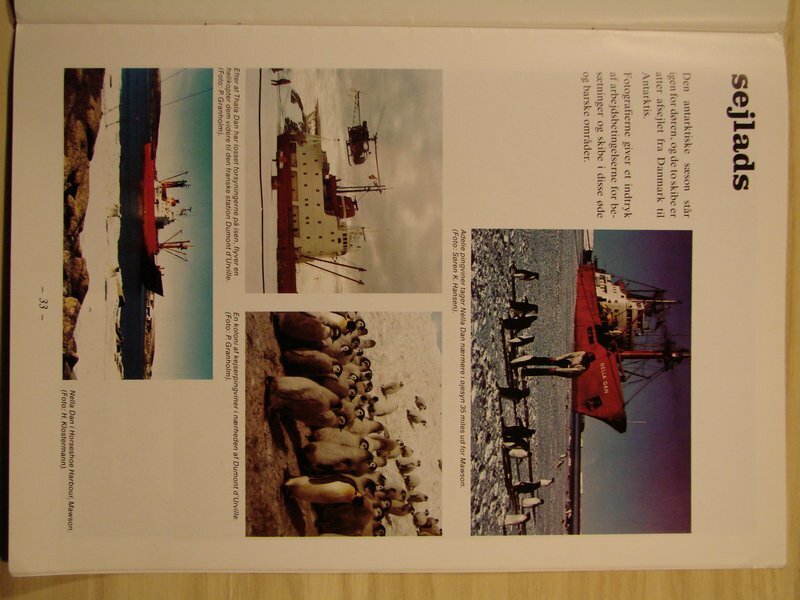 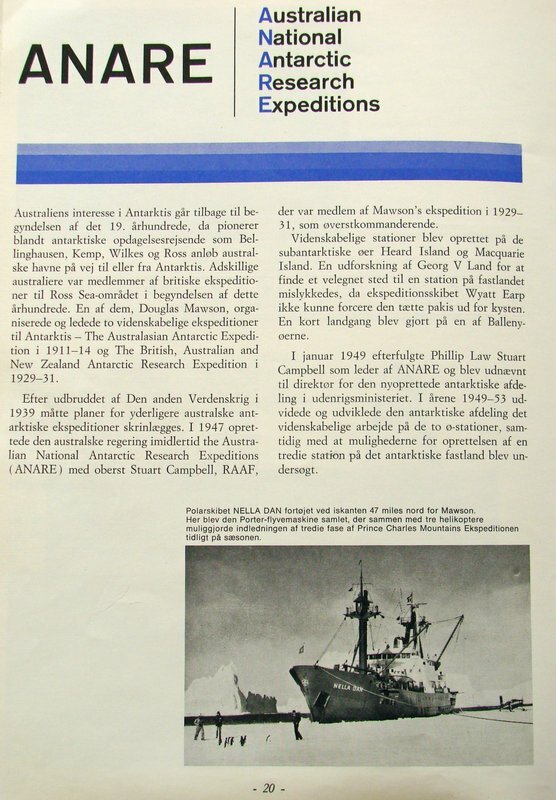 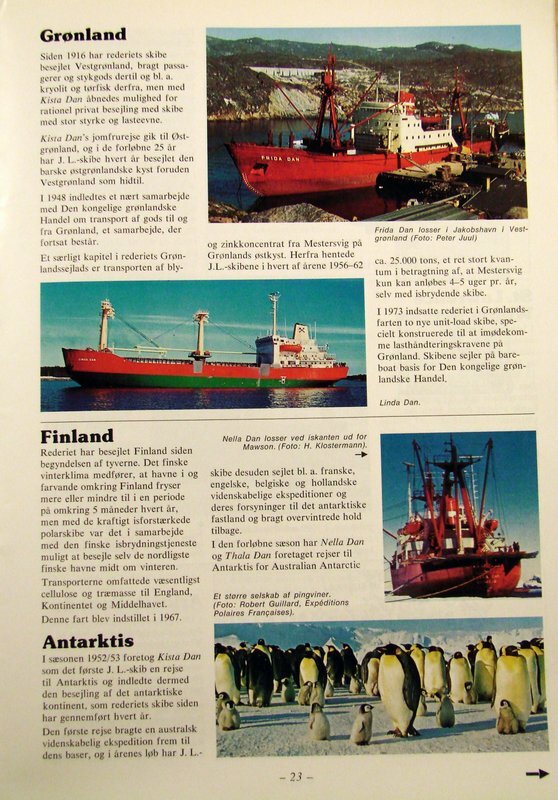 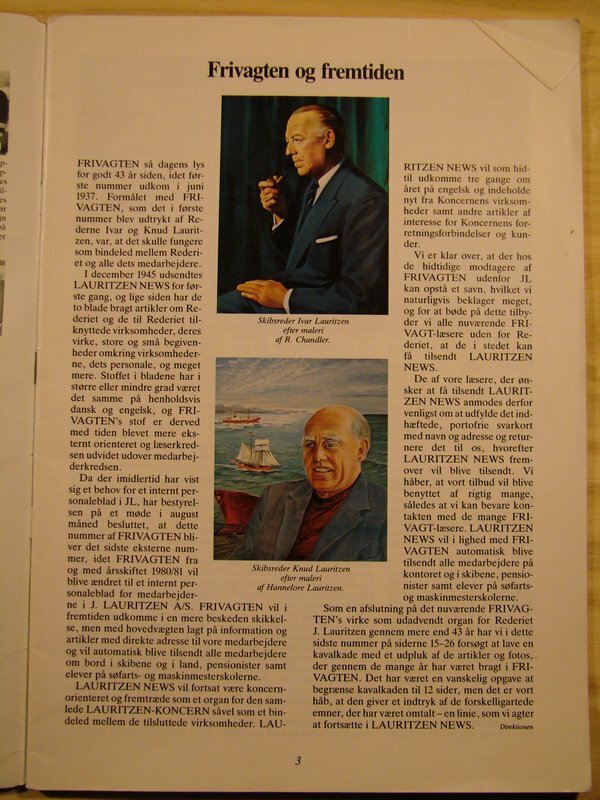 The editorial line established by the brothers Ivar and Knud Lauritzen defined the magazine until 1981, when the more internationally oriented magazine Lauritzen News would become the face of the Lauritzen Group. 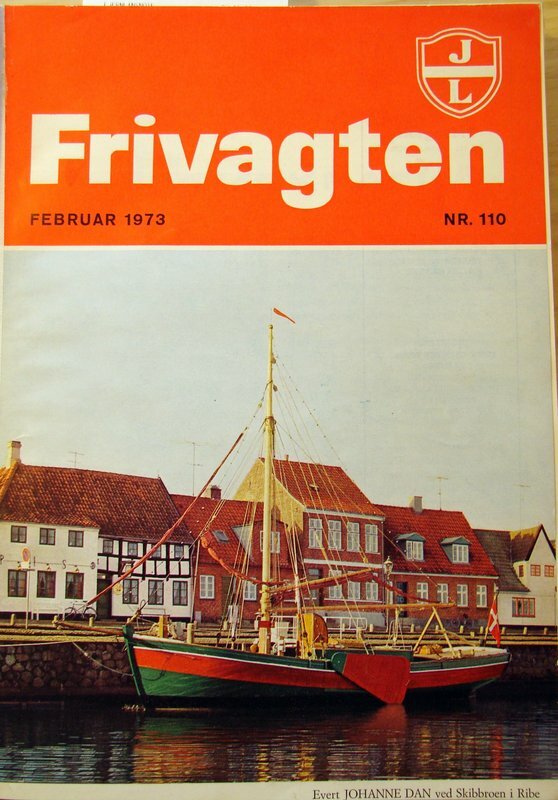 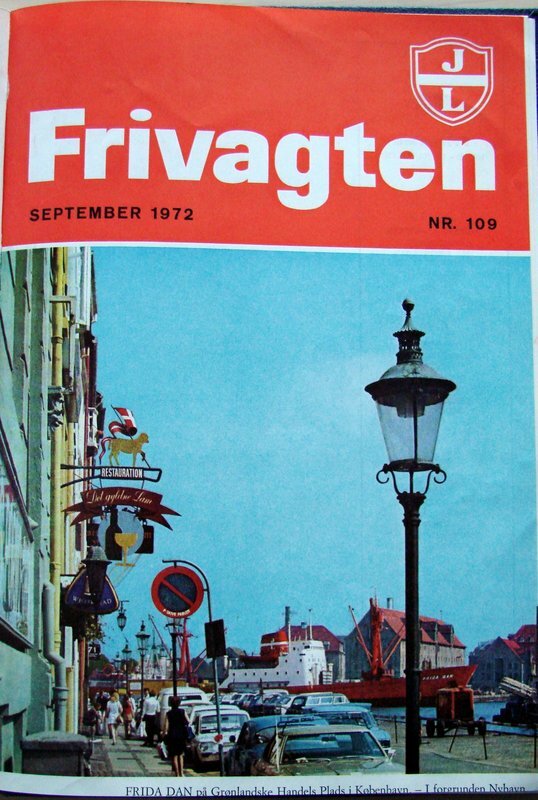 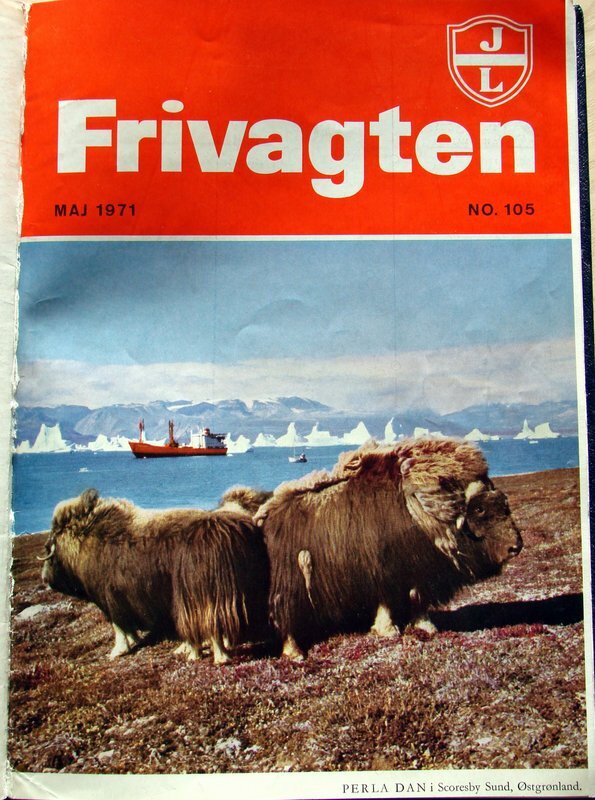 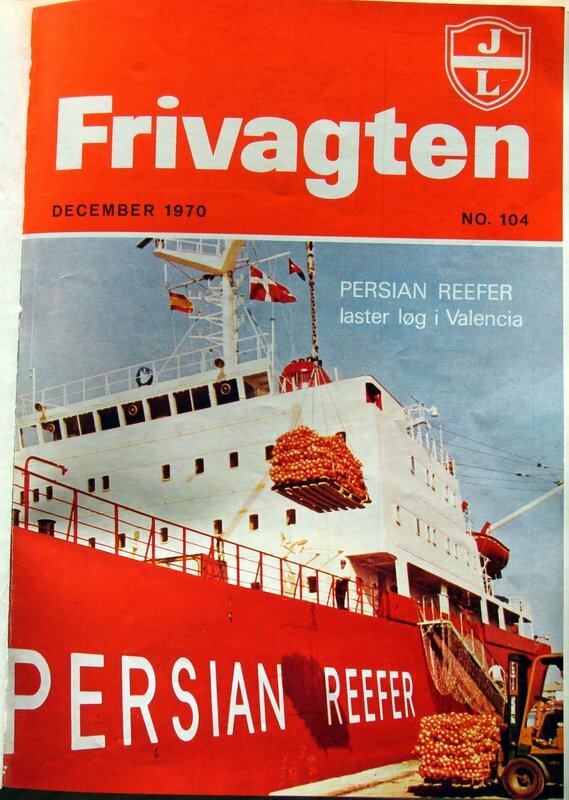 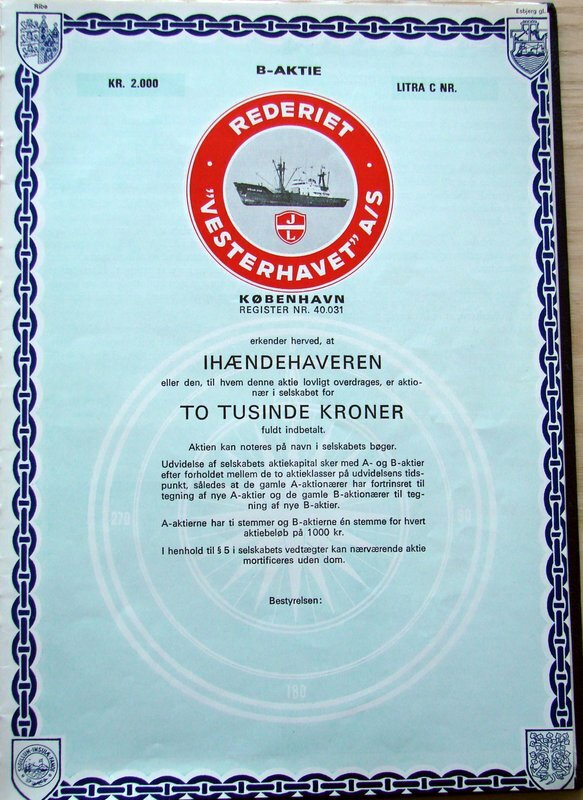 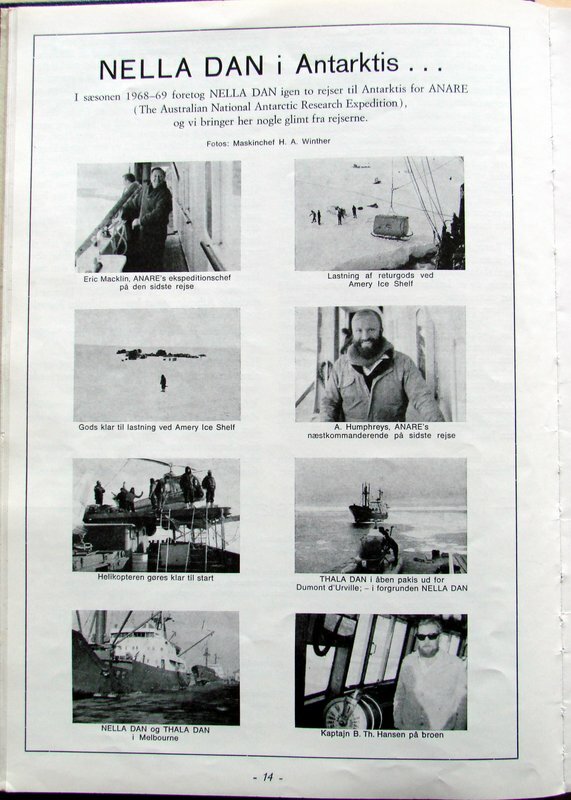 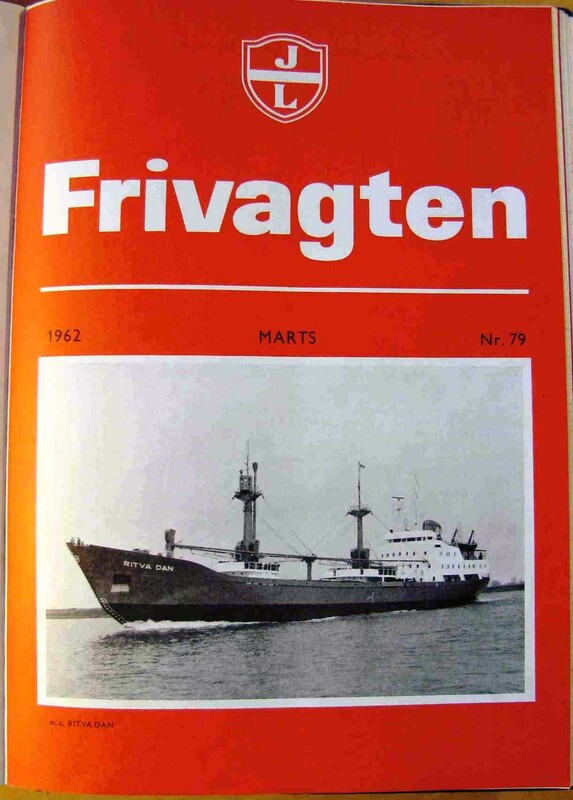 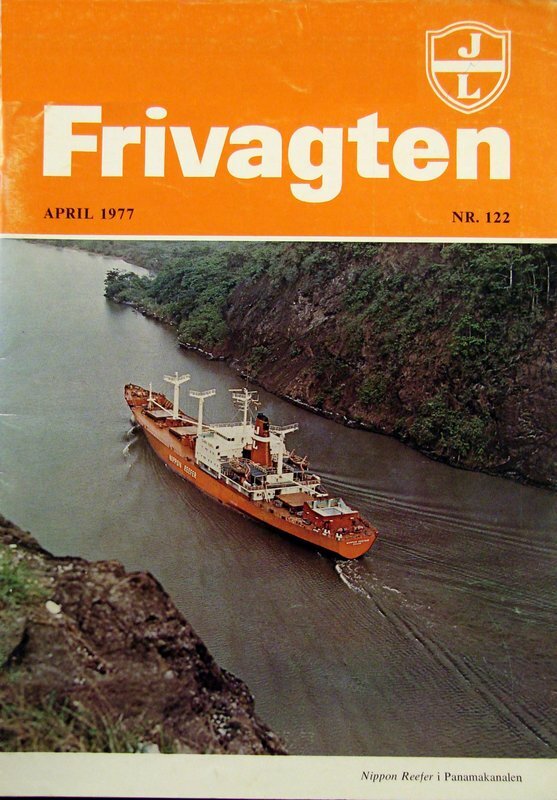 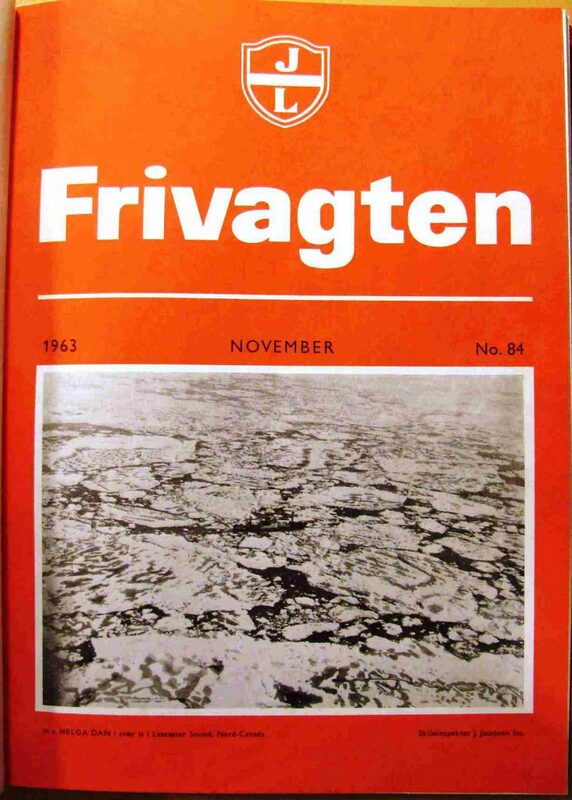 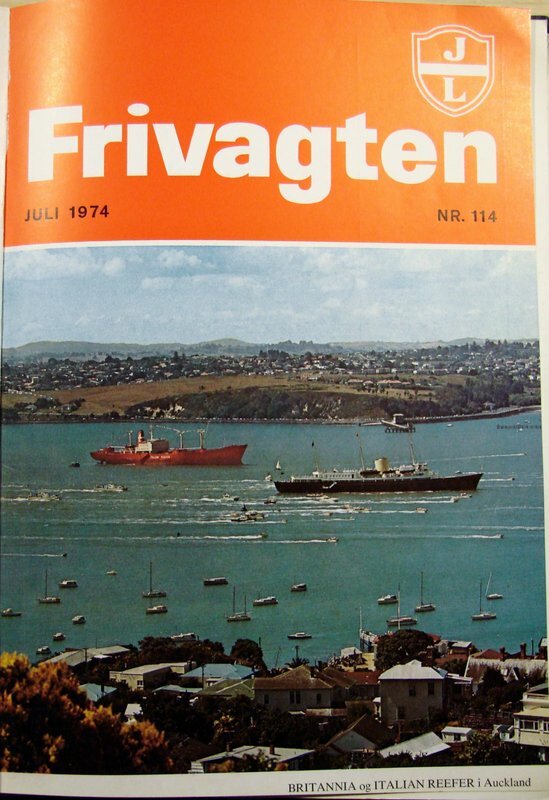 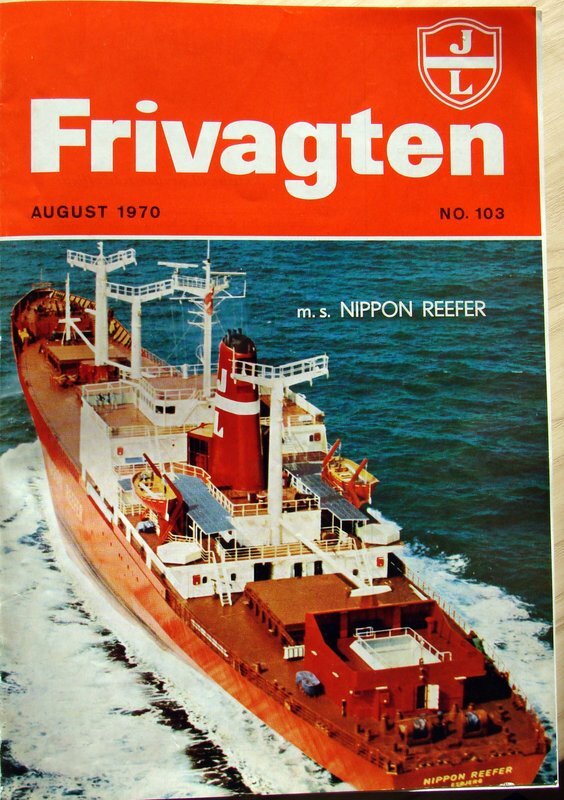 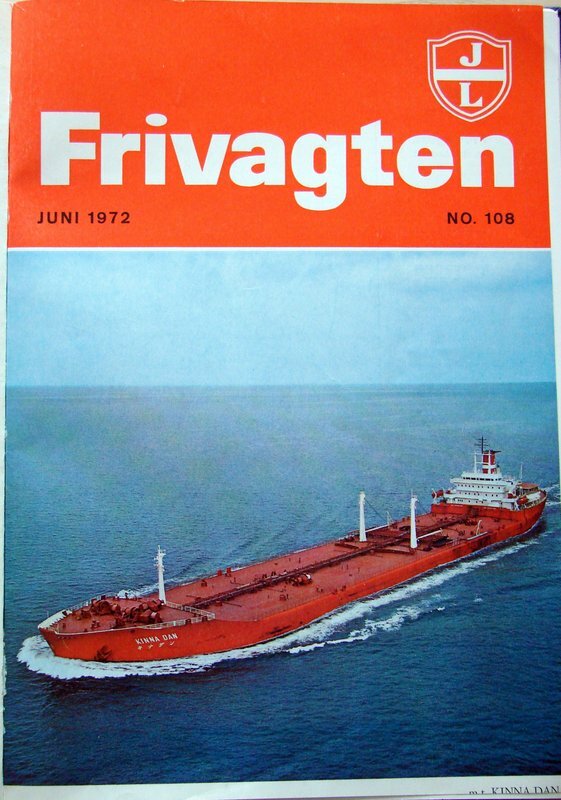 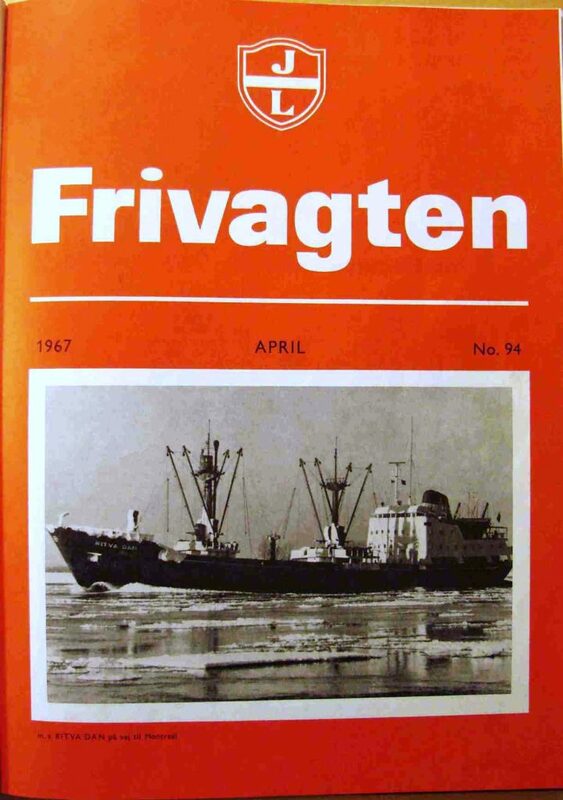 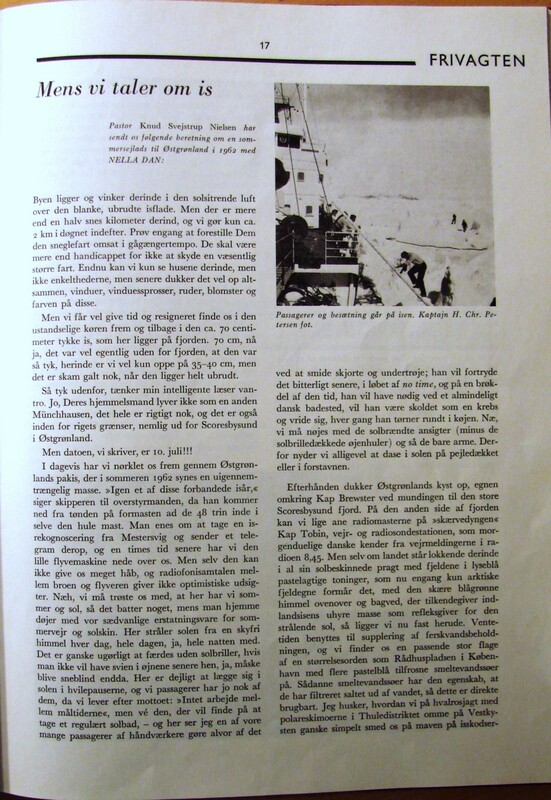 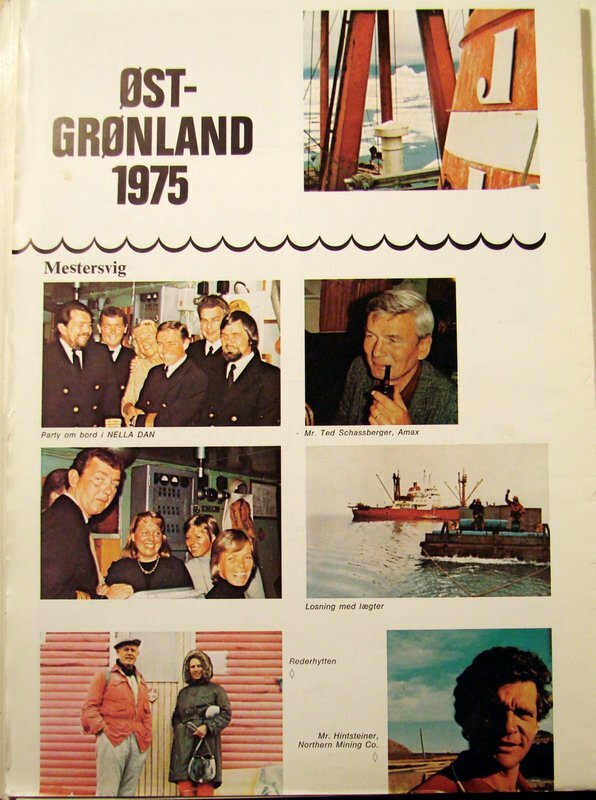 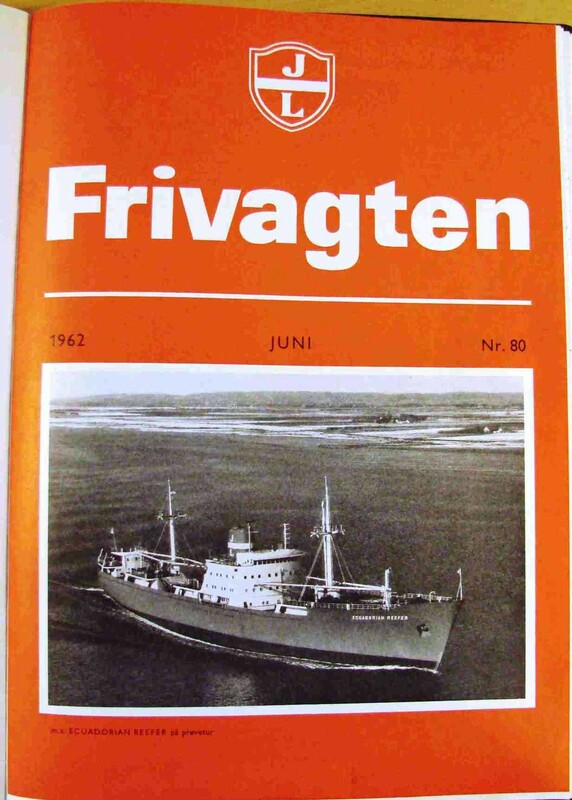 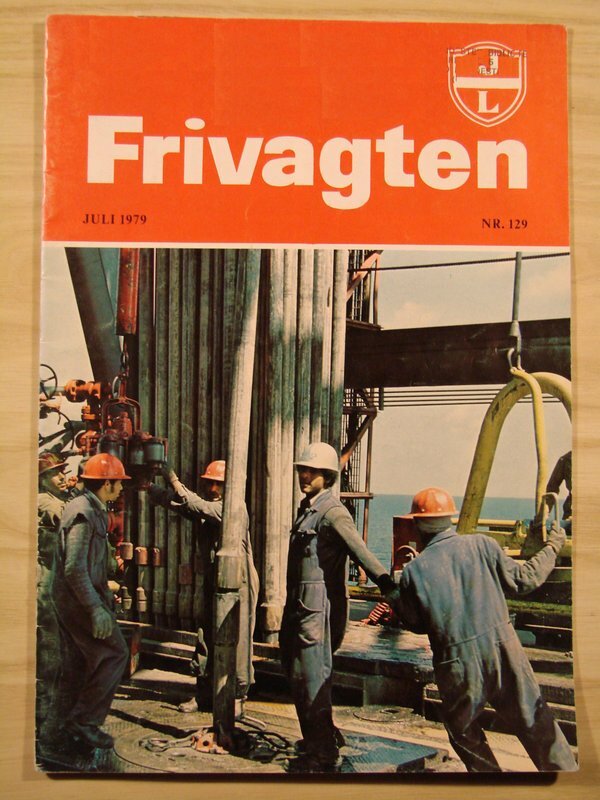 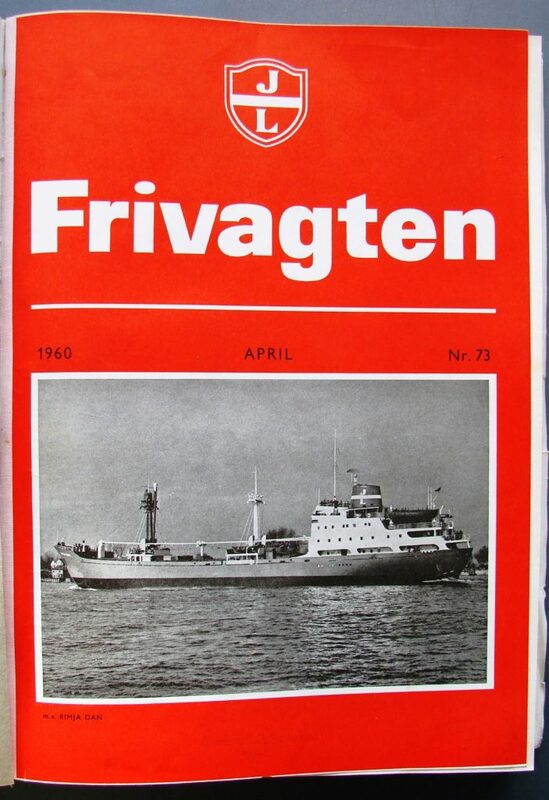 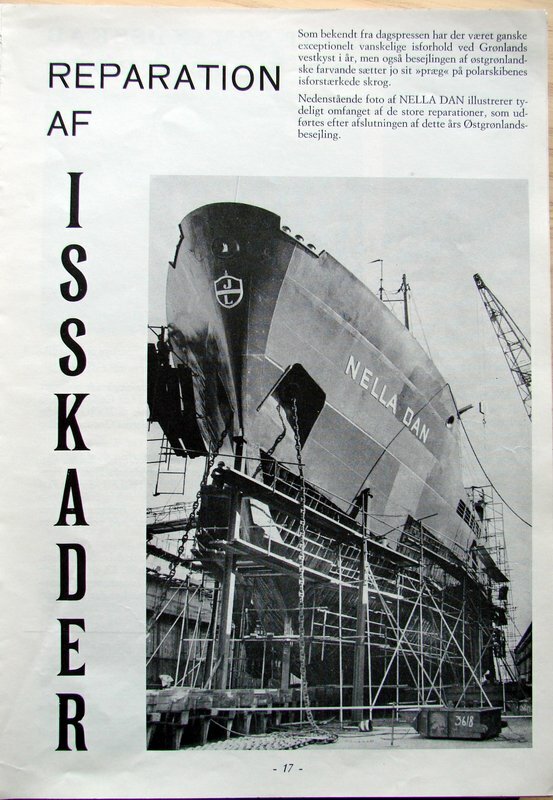 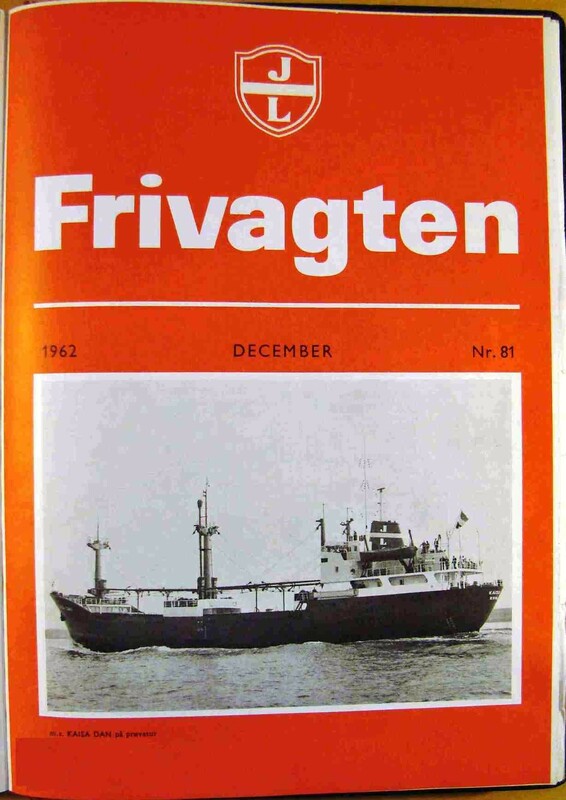 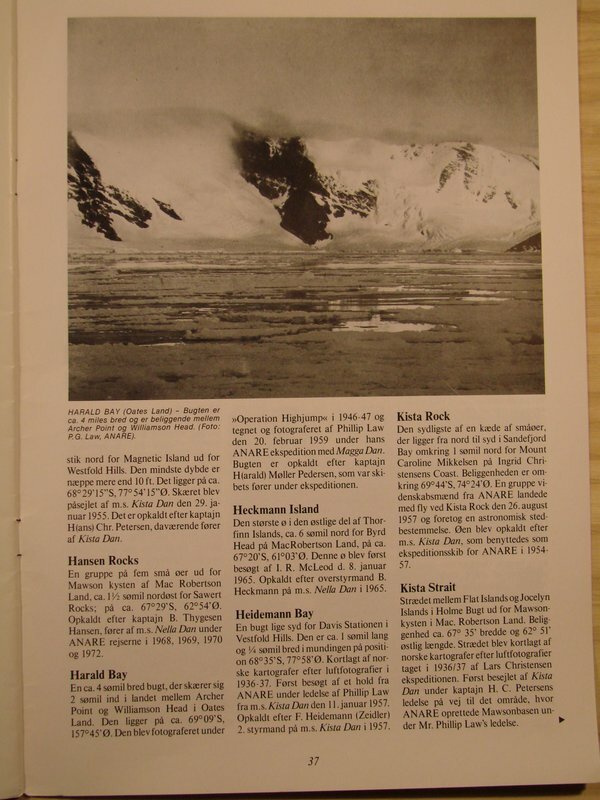 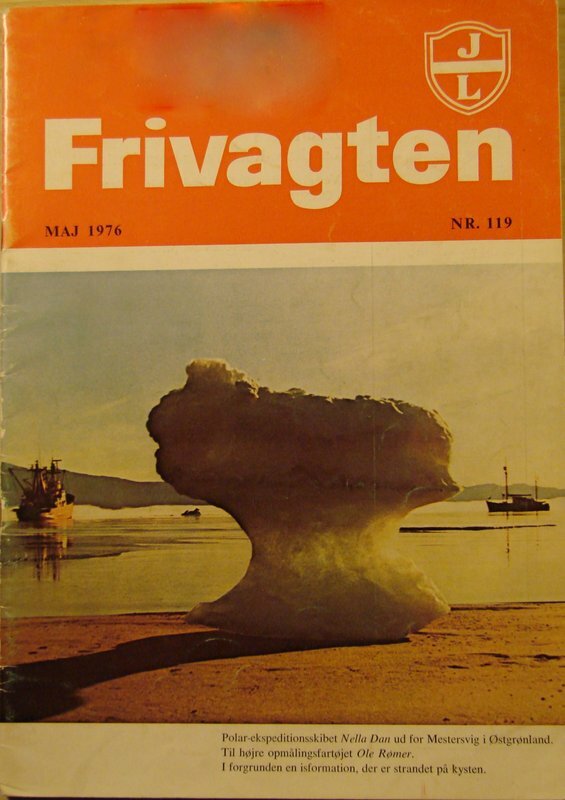 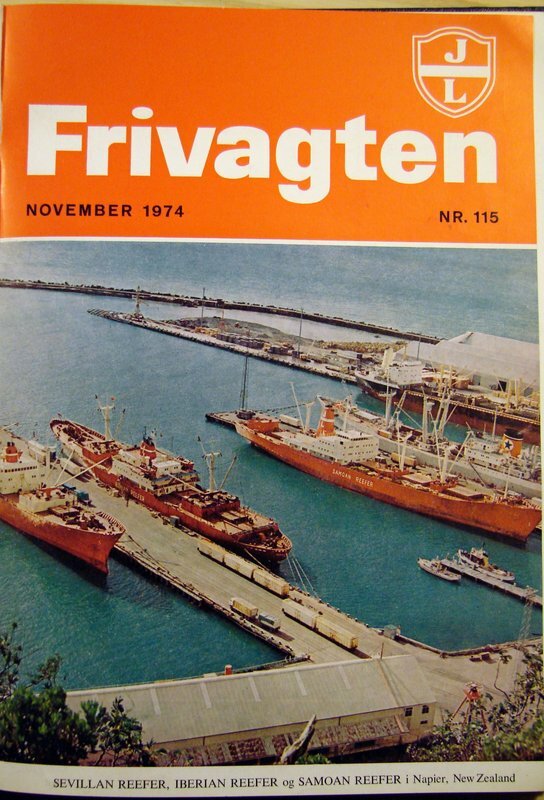 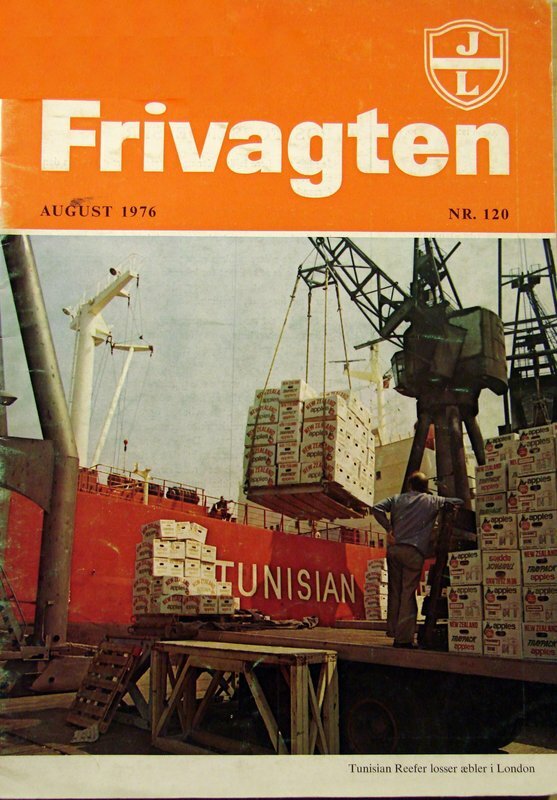 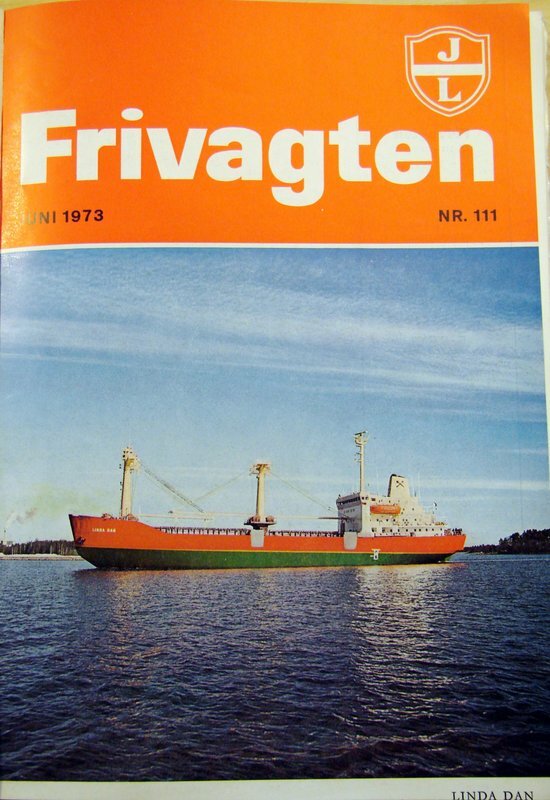 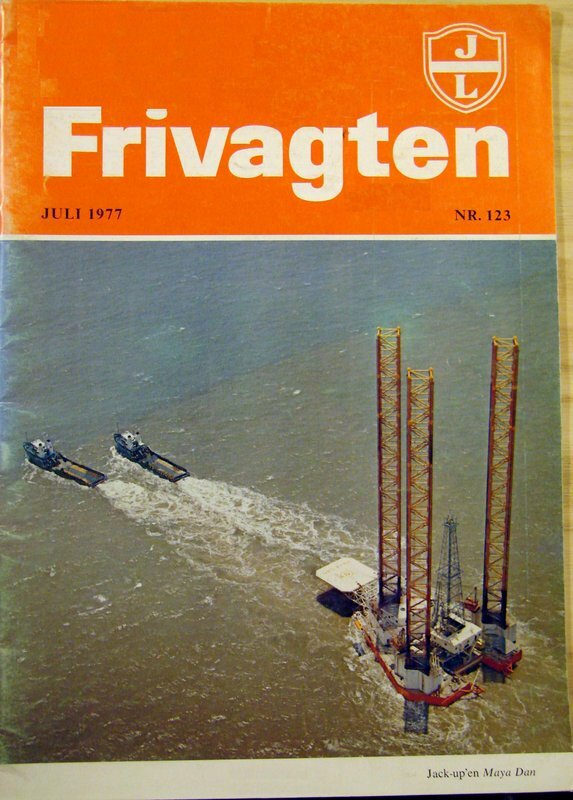 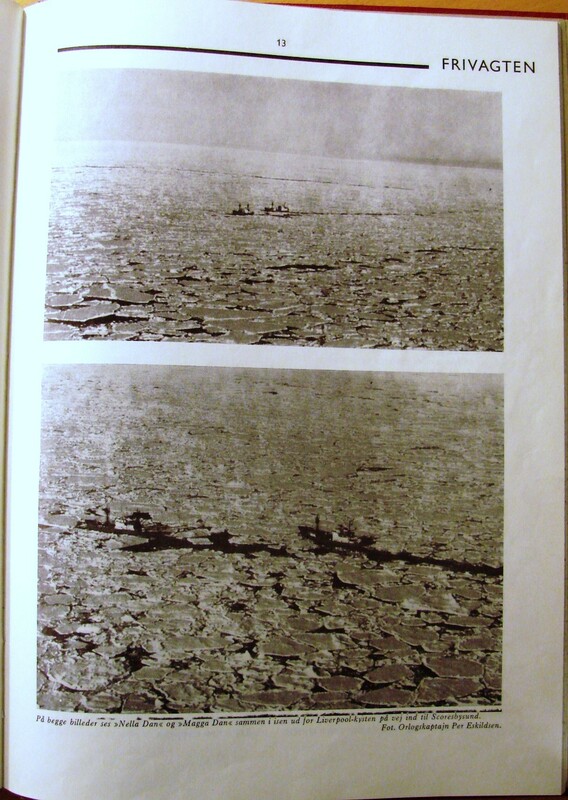 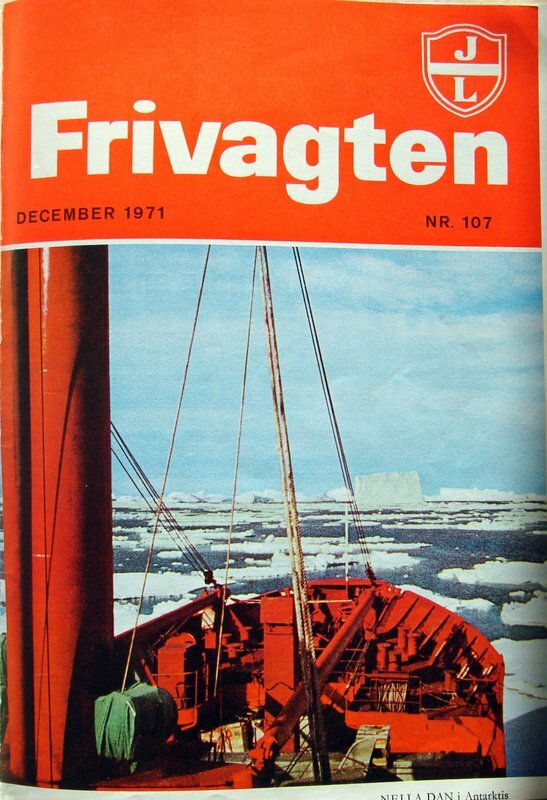 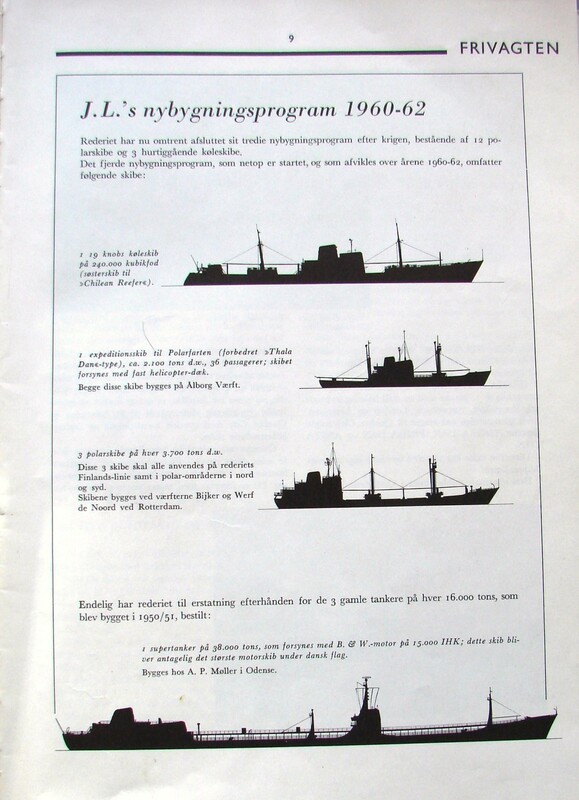 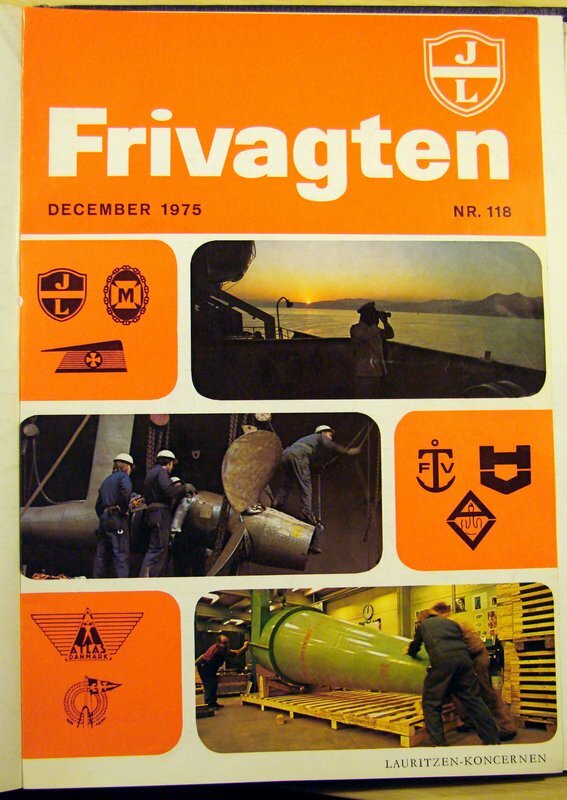 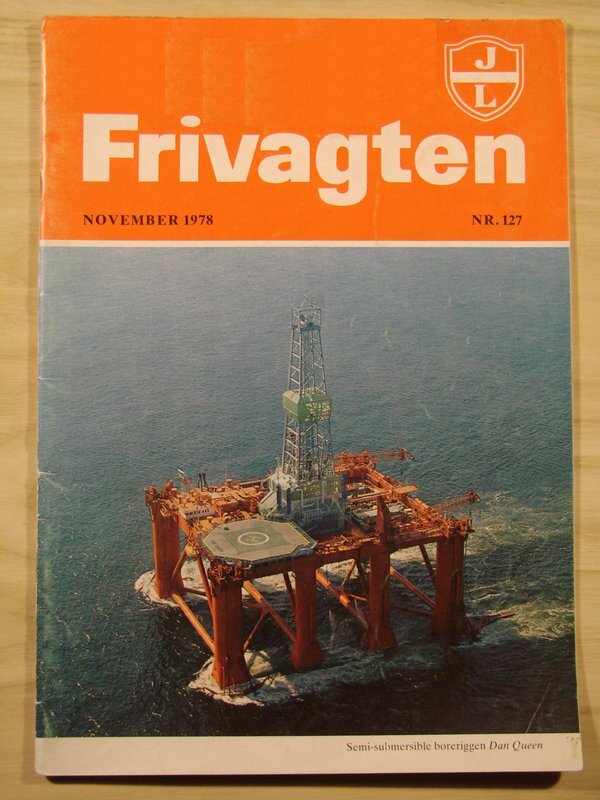 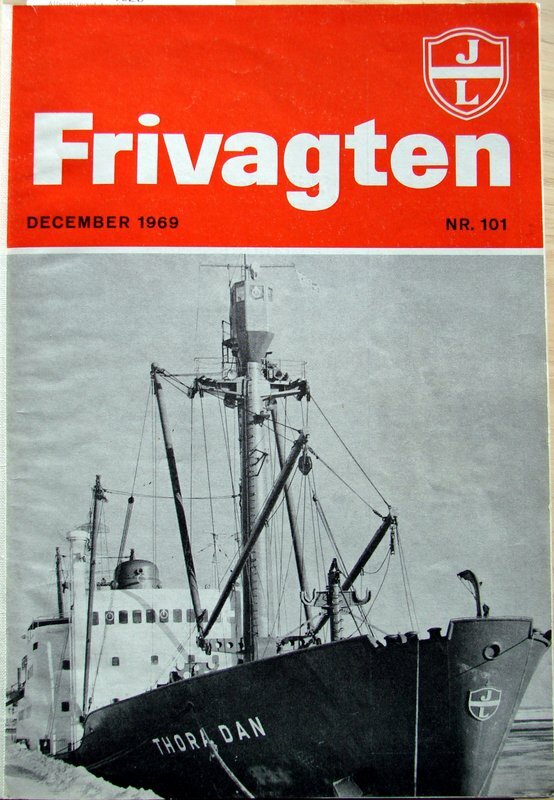 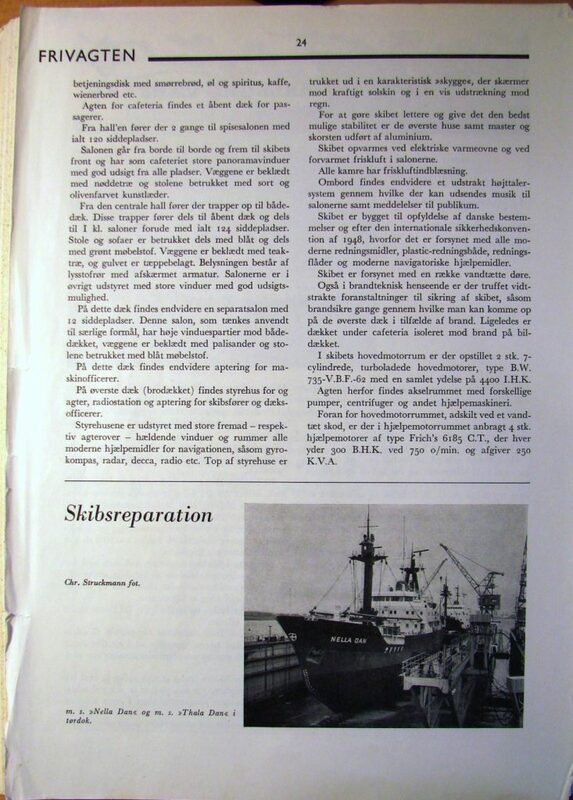 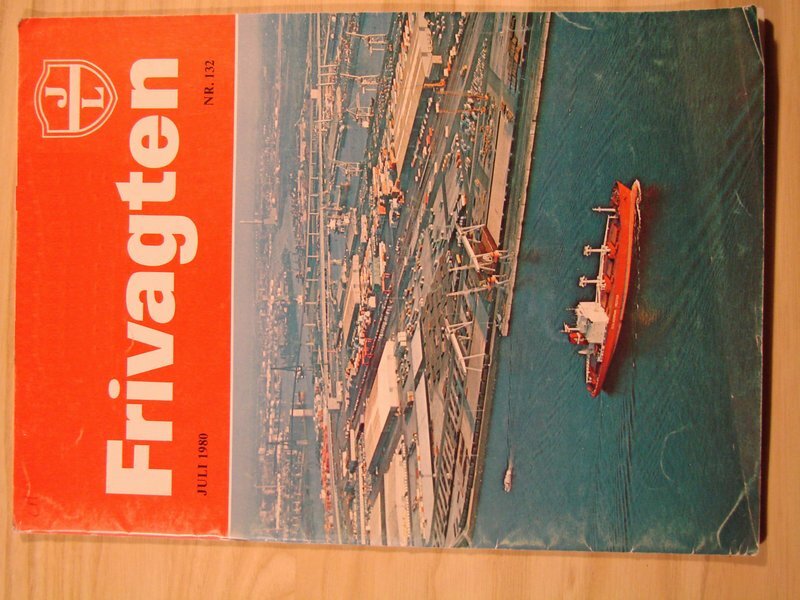 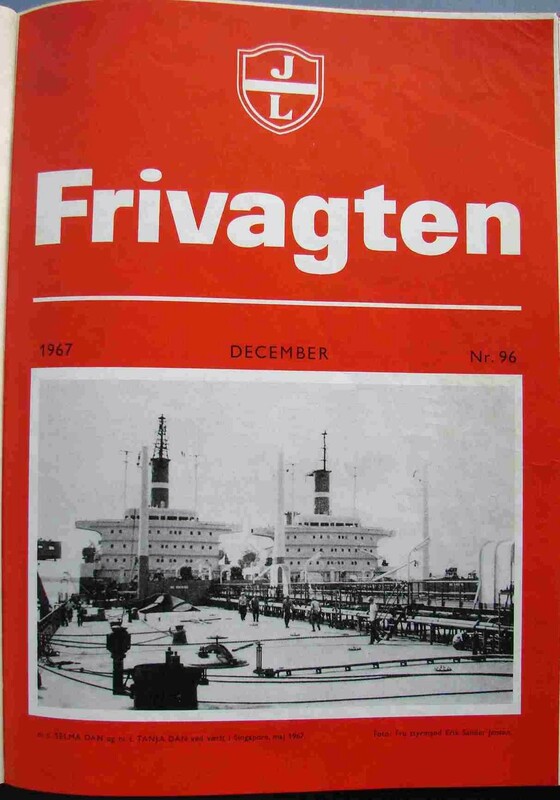 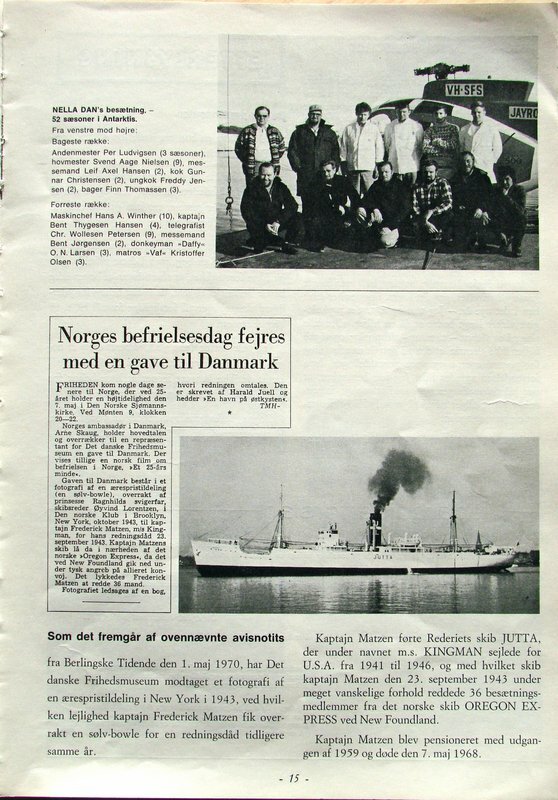 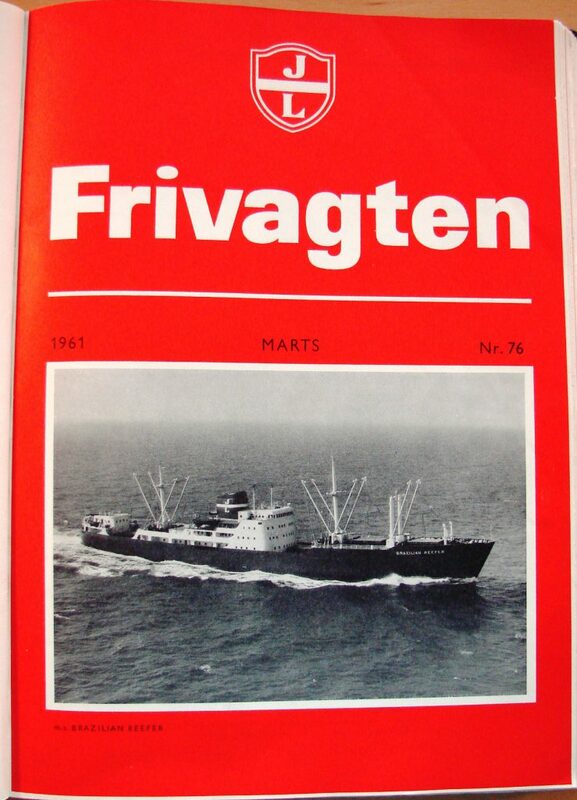 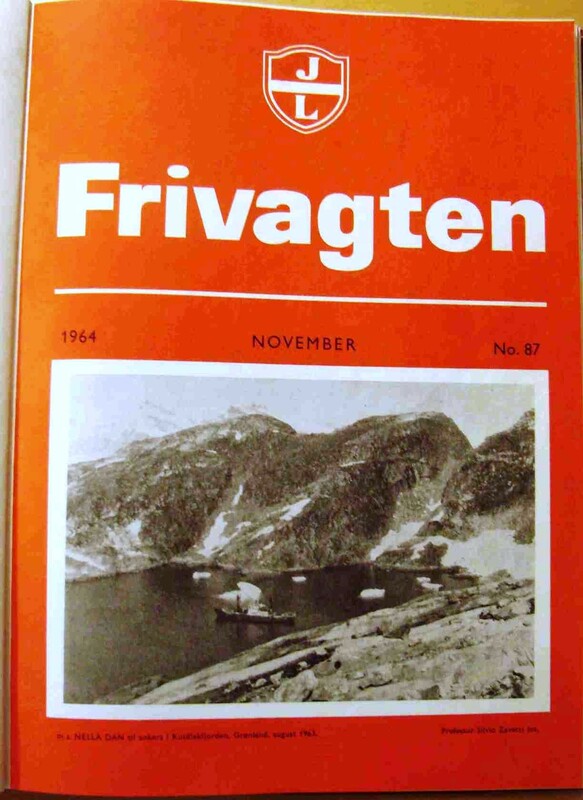 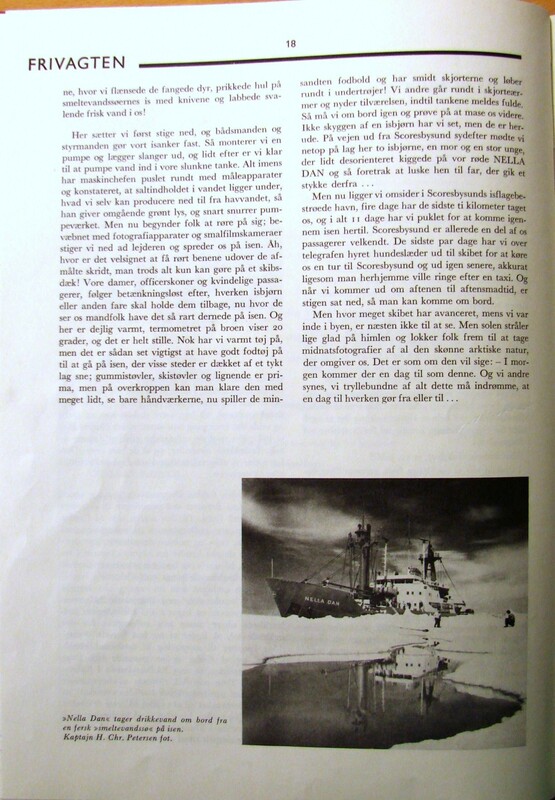 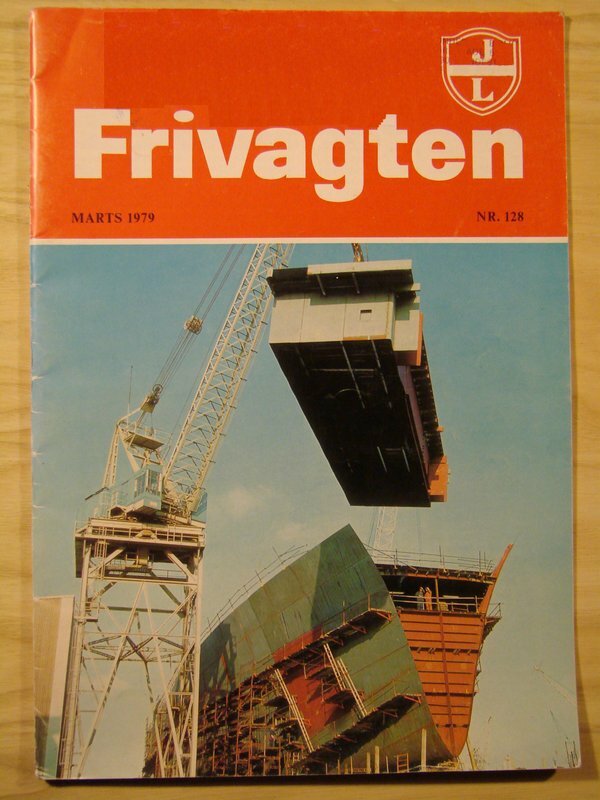 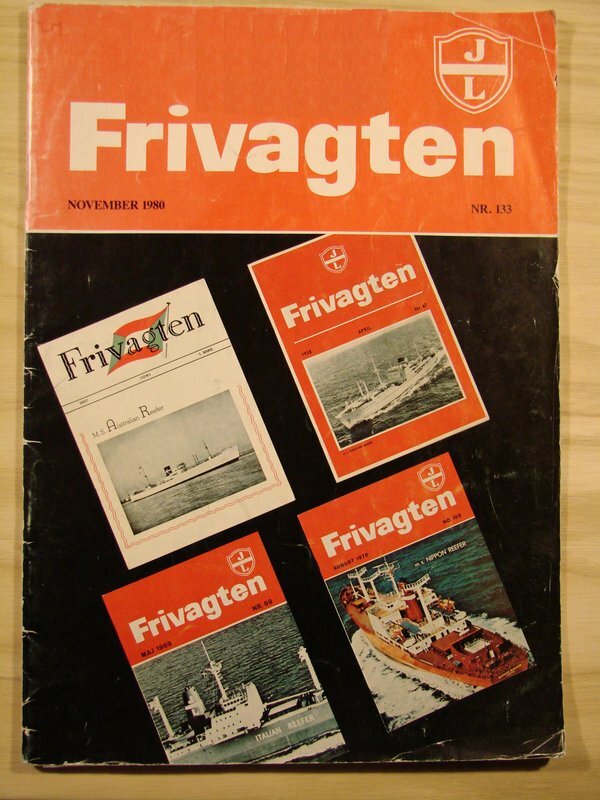 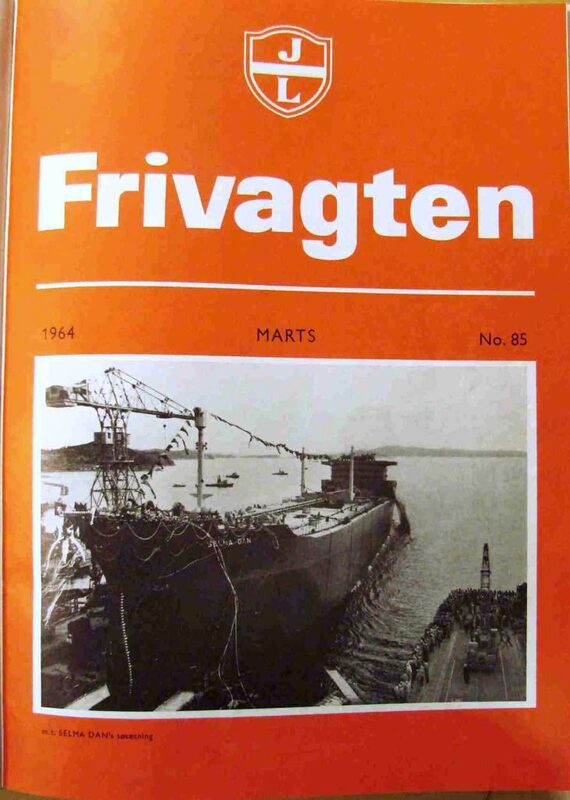 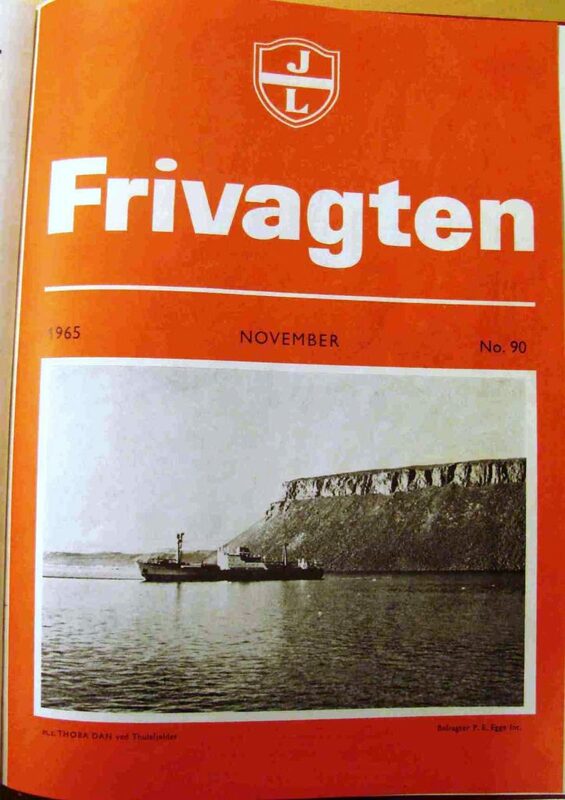 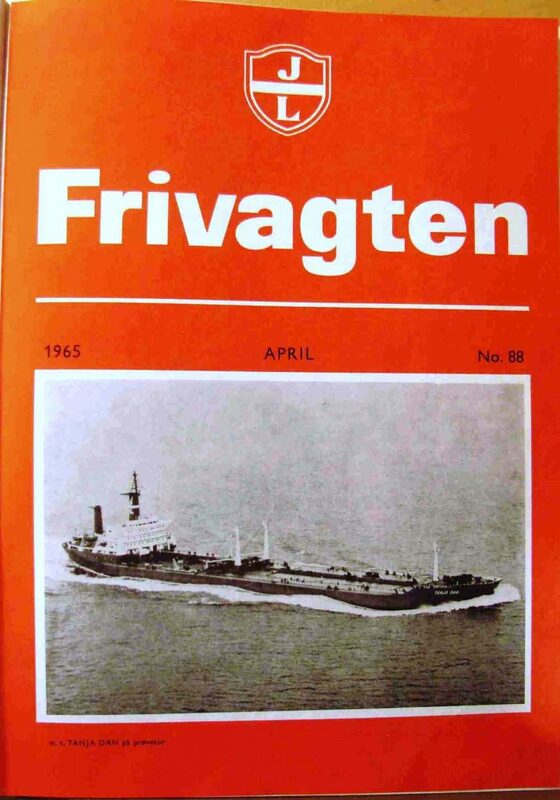 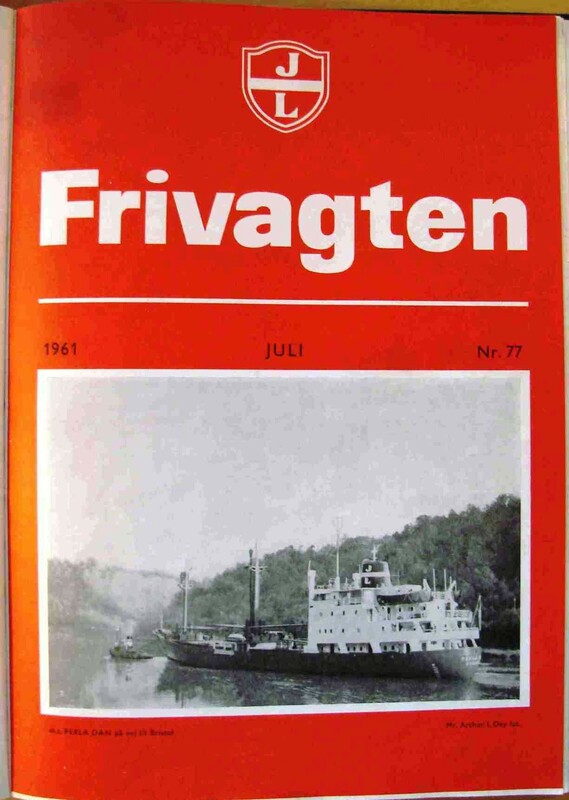 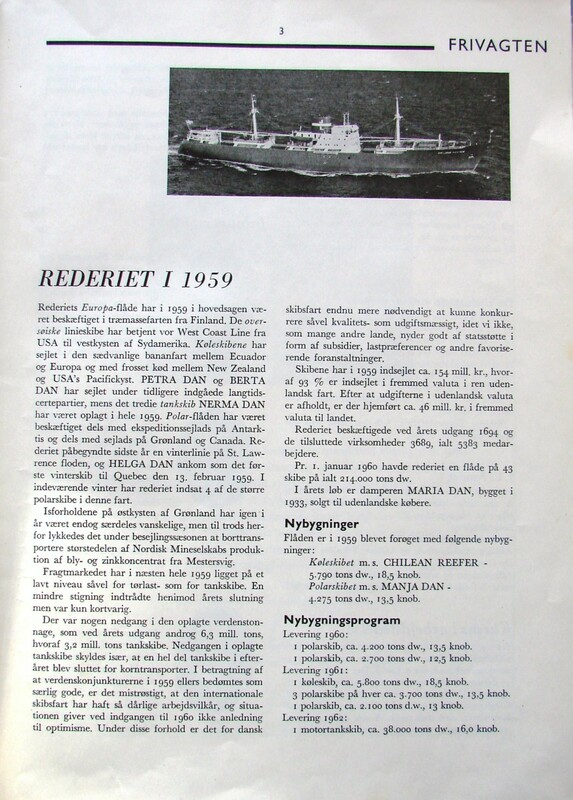 Frivagten was a shared forum for staff and crews, a source of information, articles and news stories about major developments within and around J. L.
The magazine spanned wide, from the group’s annual accounts, new shipbuilding plans, visiting royalty and entry into new markets to articles about international politics, the European Union, strikes and workplace profit-sharing schemes and information about company dental plans, safety at sea, human resource management, general education and fun pages for the sailors. 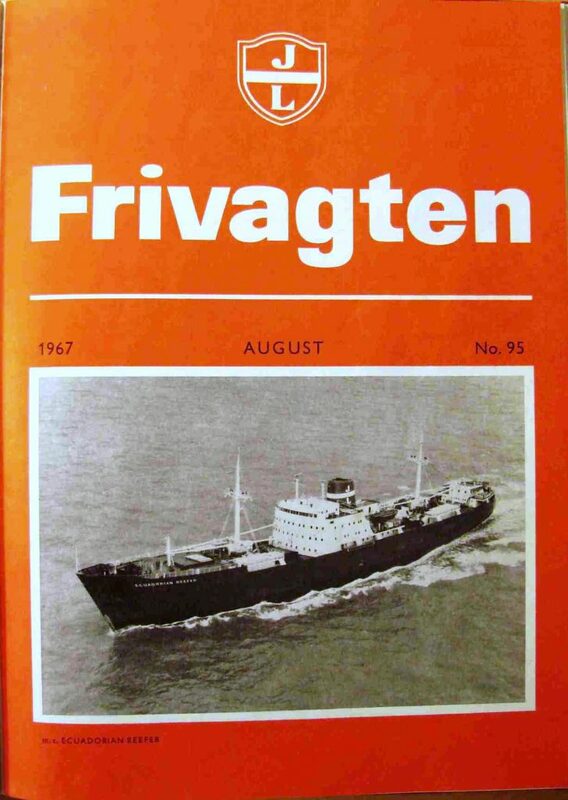 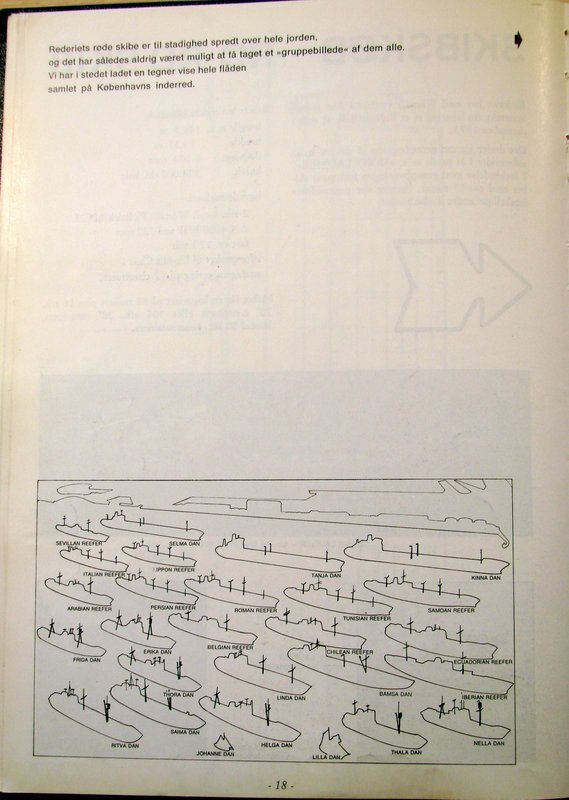 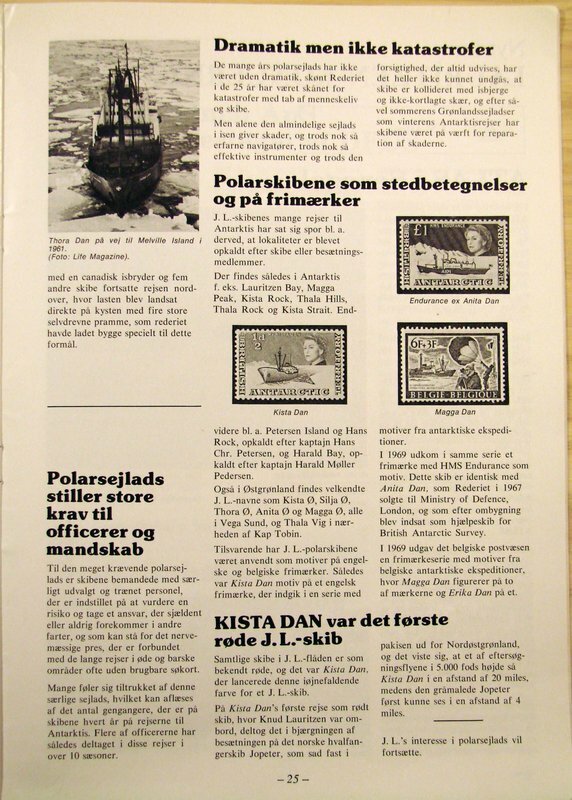 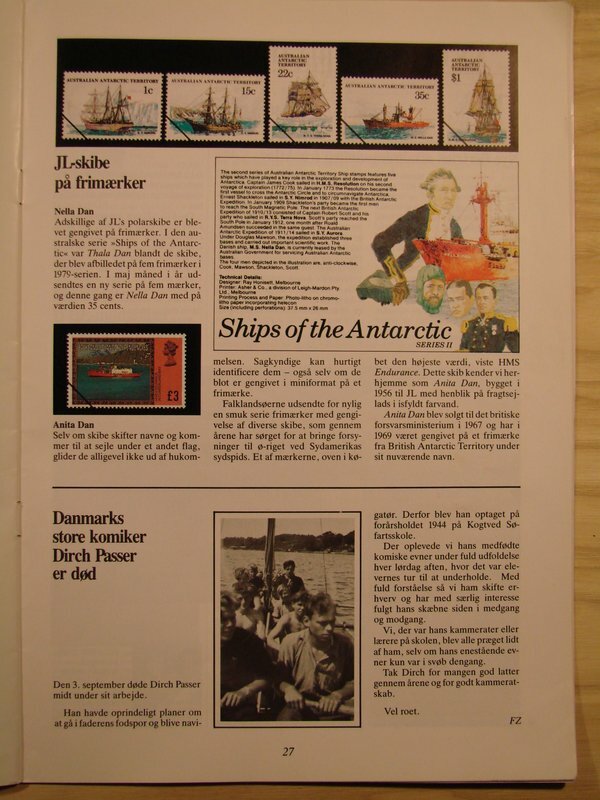 Knud Lauritzen’s observations on the world, the economy and life on board in general were a common feature in Frivagten as opinion pieces about current political affairs. 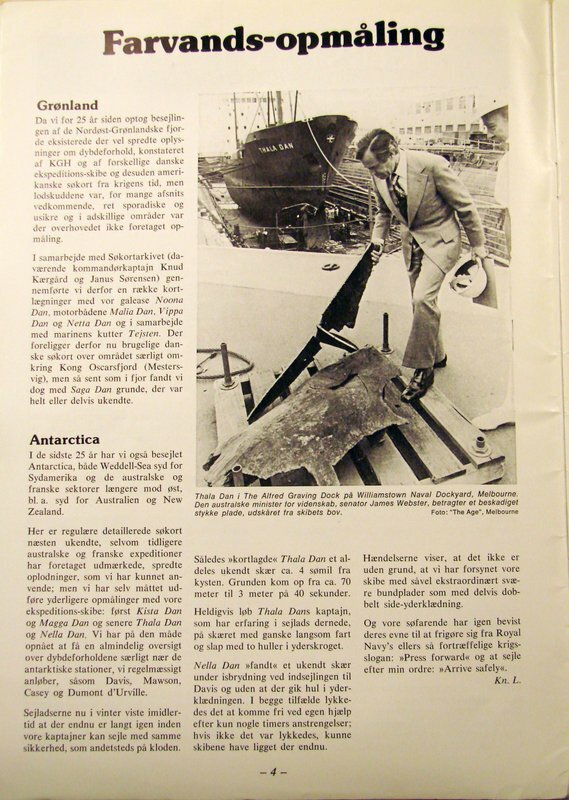 Many words of caution and articles under the headline ‘Safety First!’ carried his signature, K.L. 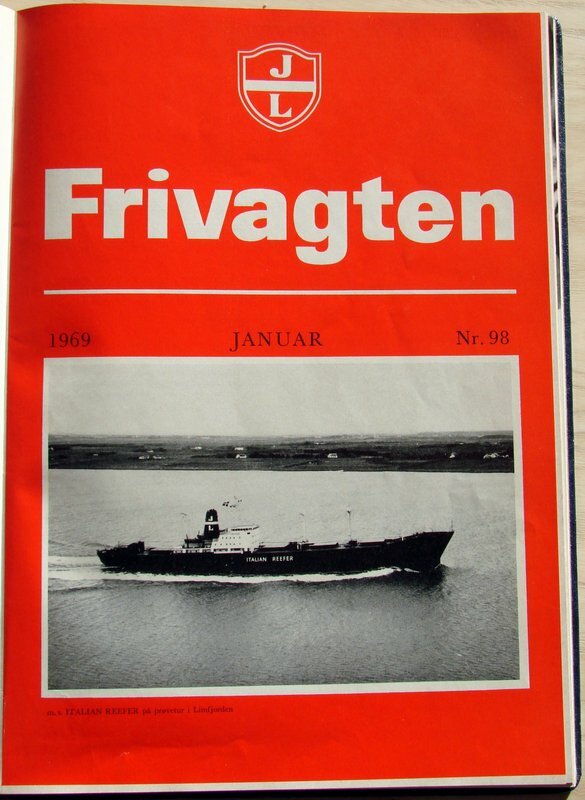 At the threshold to the 1970s, Frivagten was still full of vigour with a strong pioneering spirit. 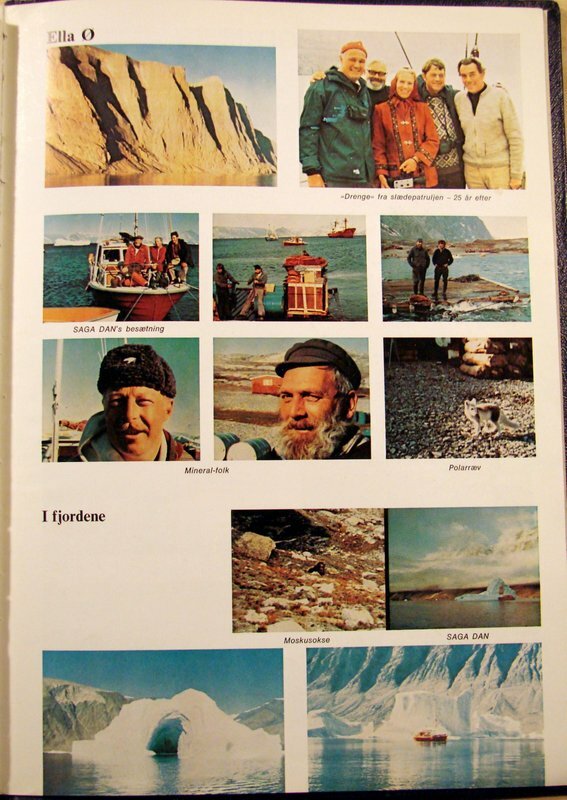 Expedition news, travel stories and coverage of royal visits filled the pages. 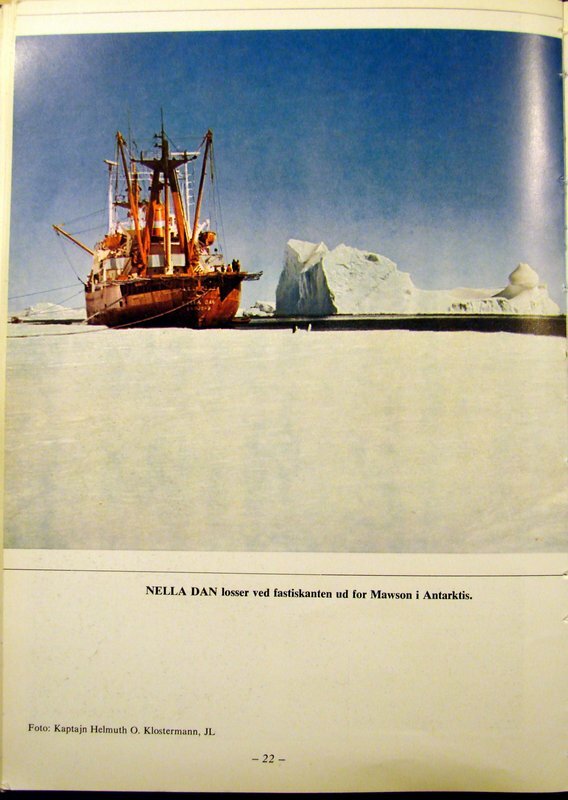 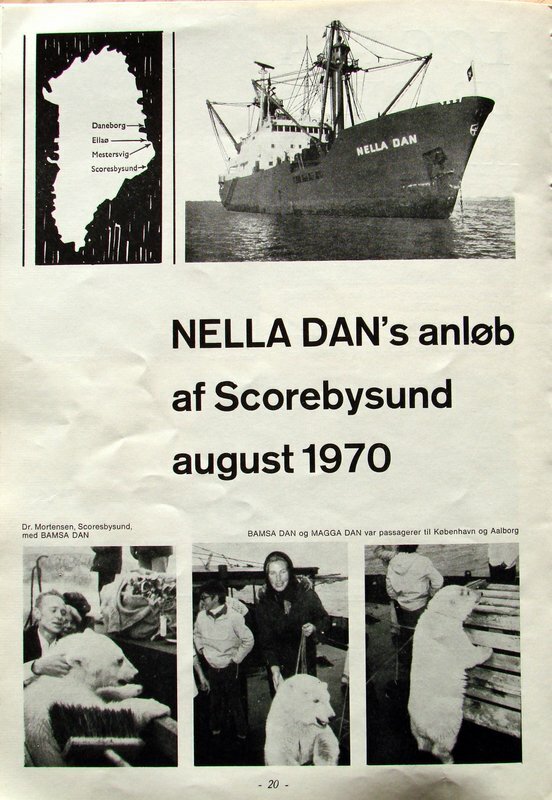 Nella Dan is first mentioned as an unnamed new construction in 1960 and had her first magazine cover in 1964. 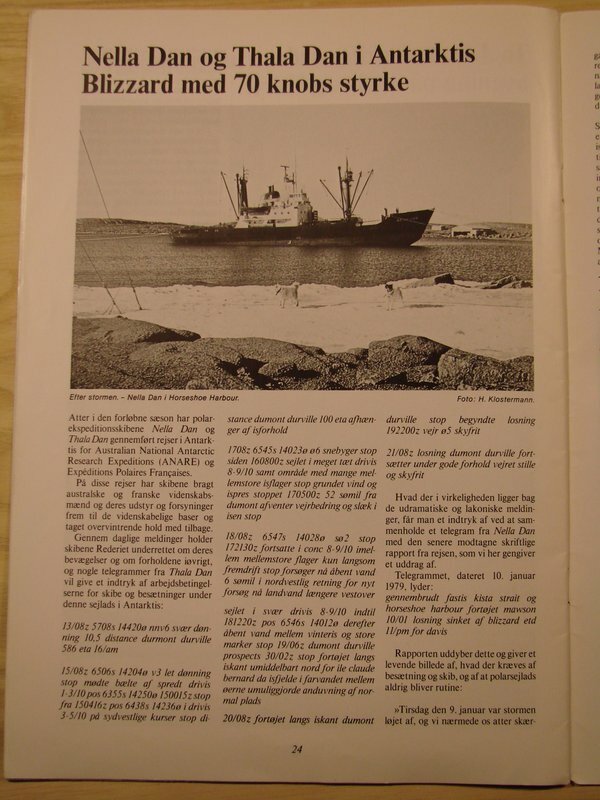 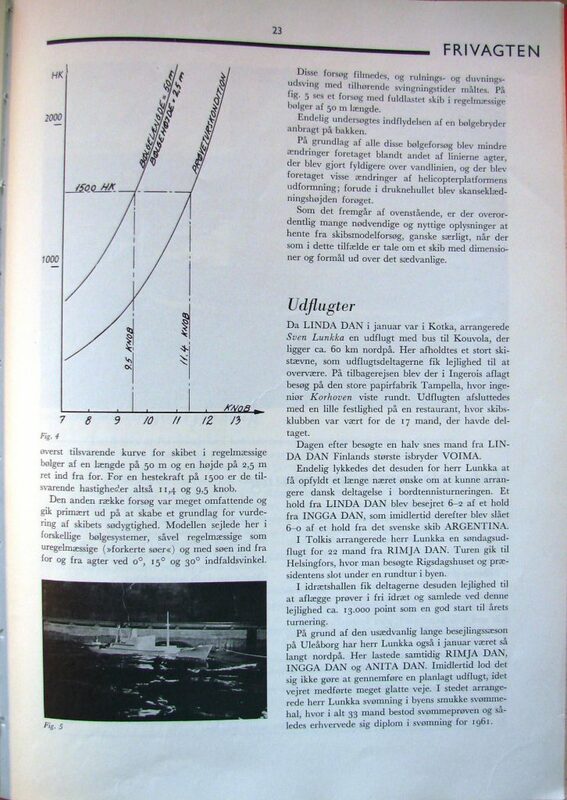 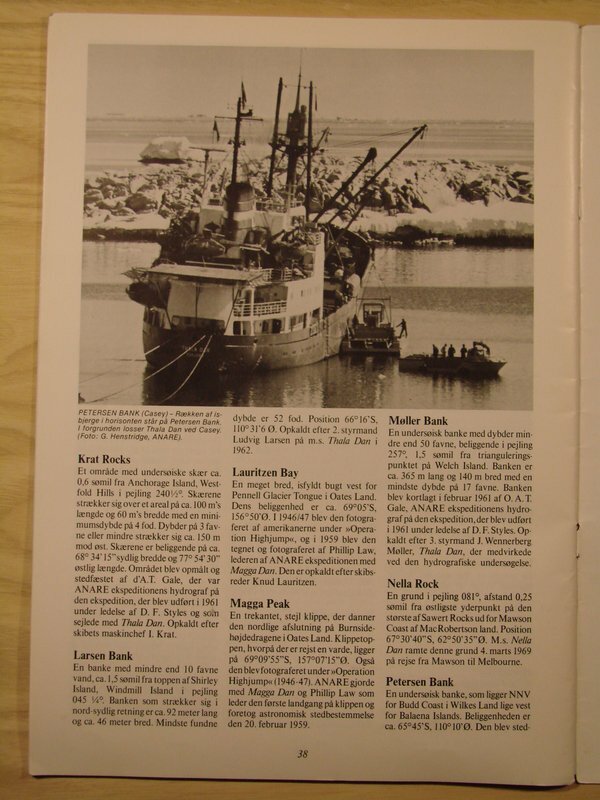 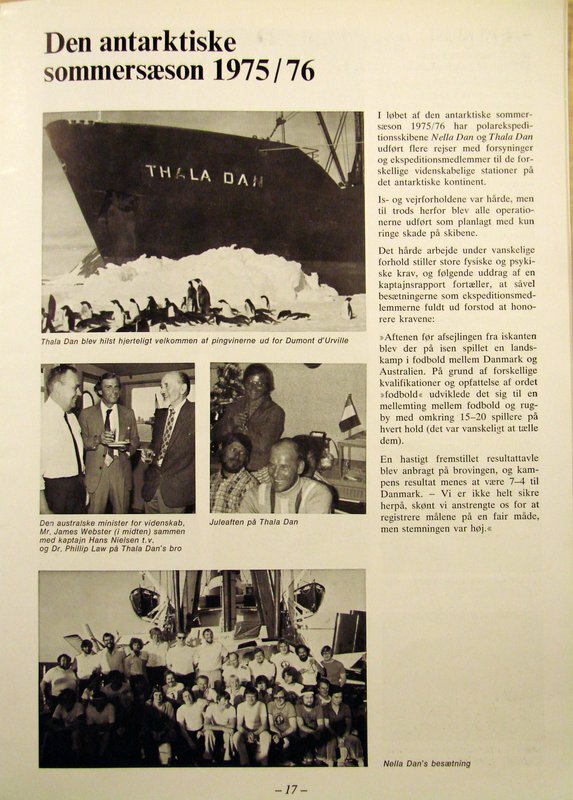 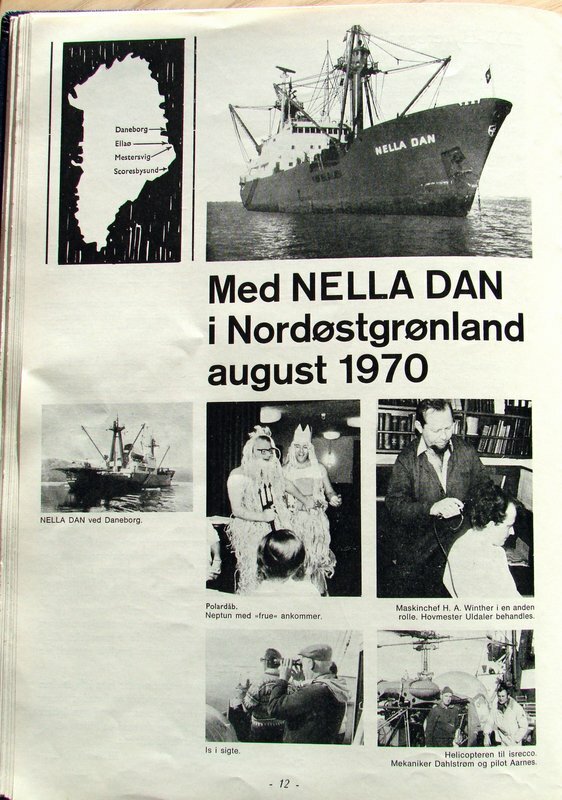 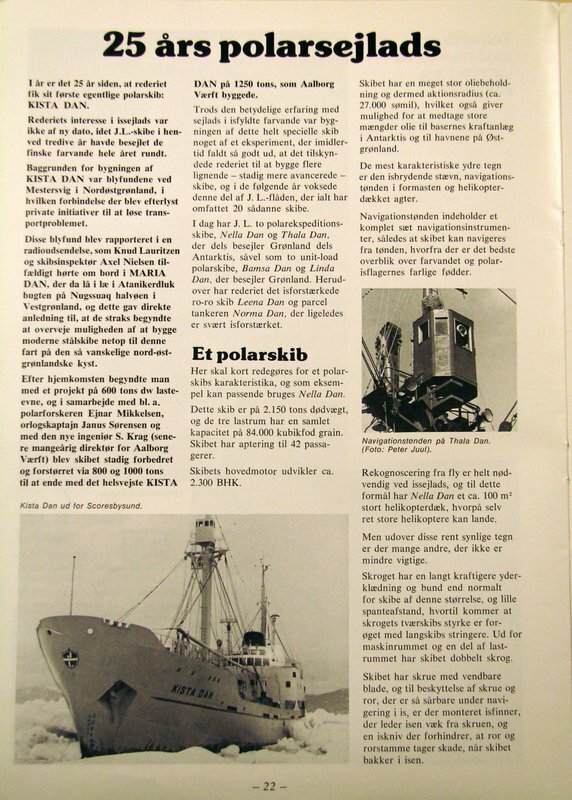 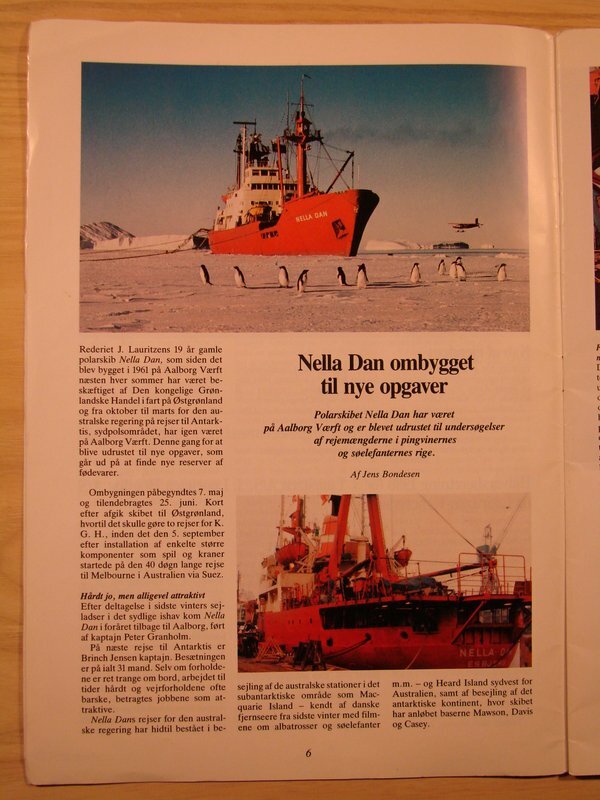 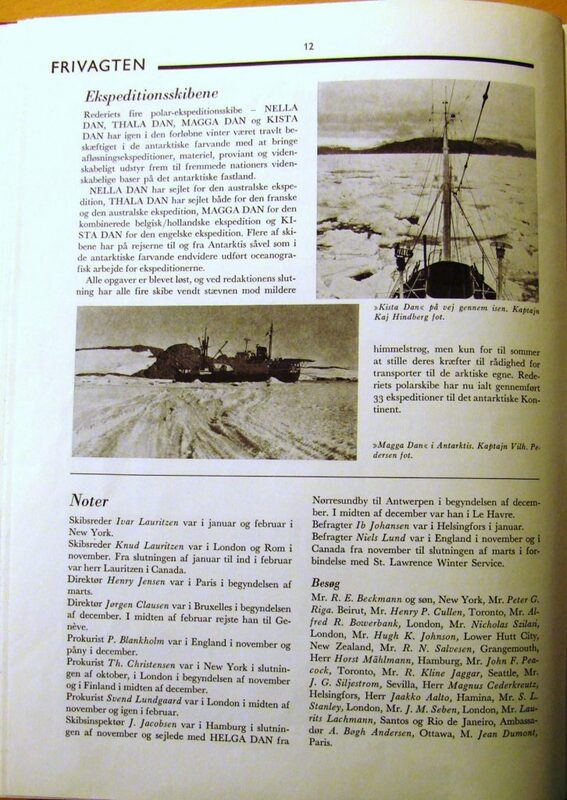 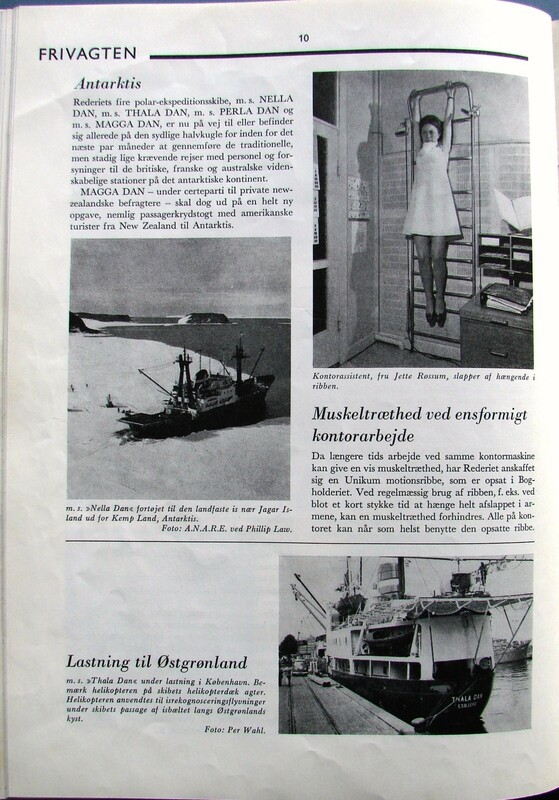 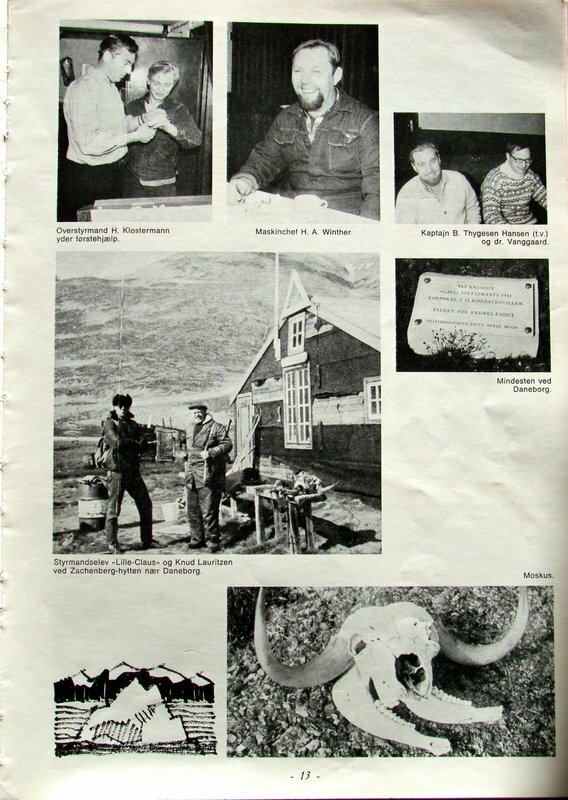 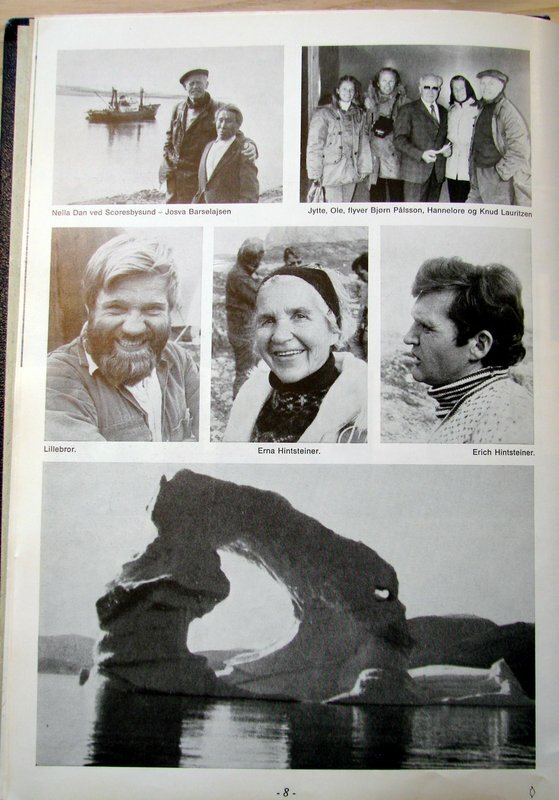 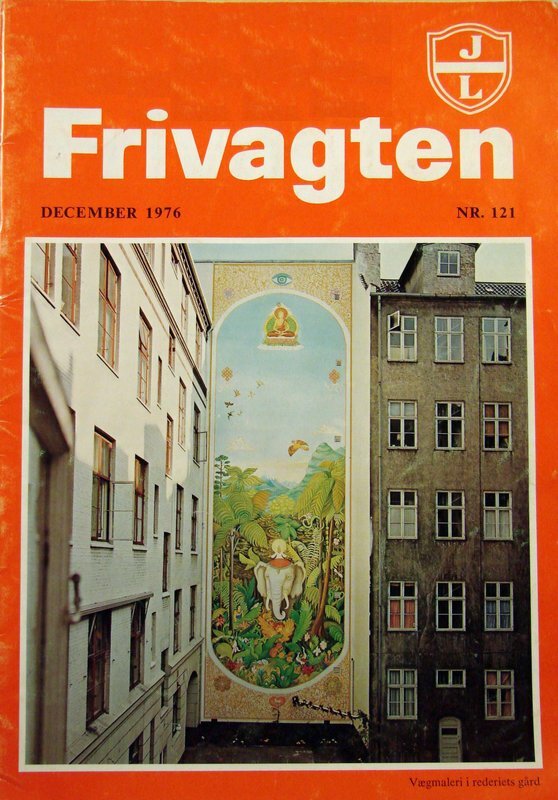 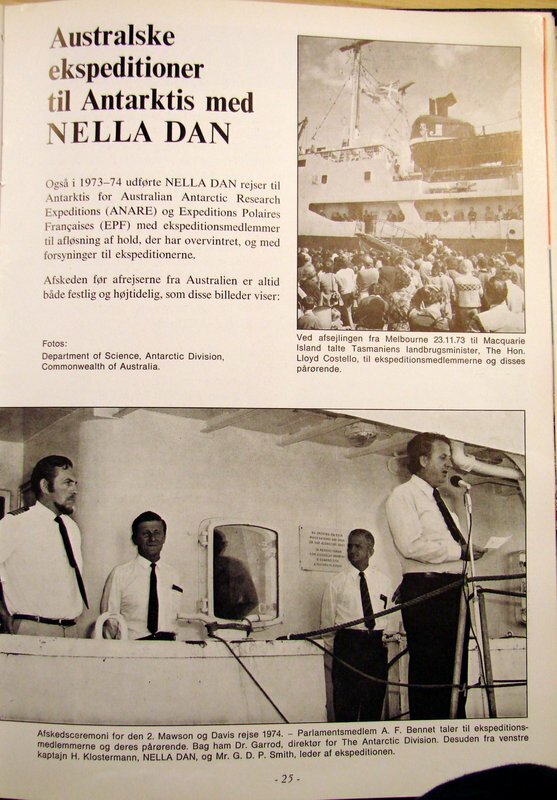 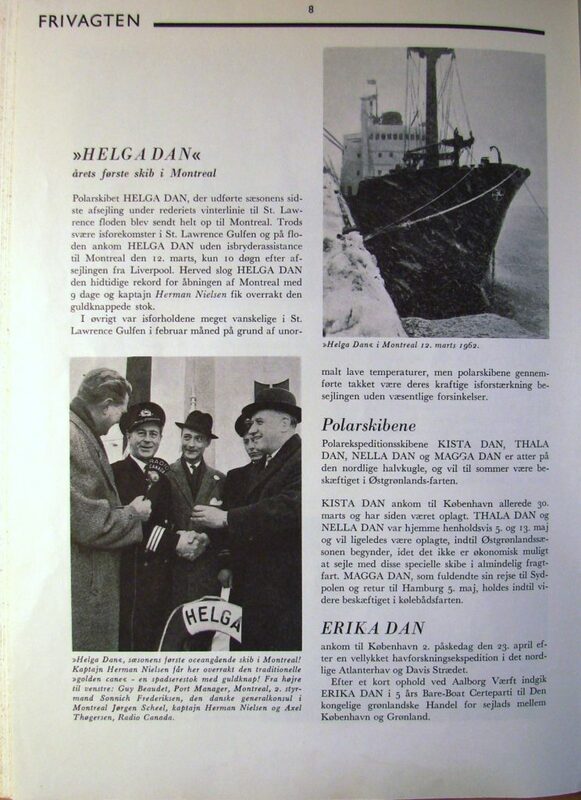 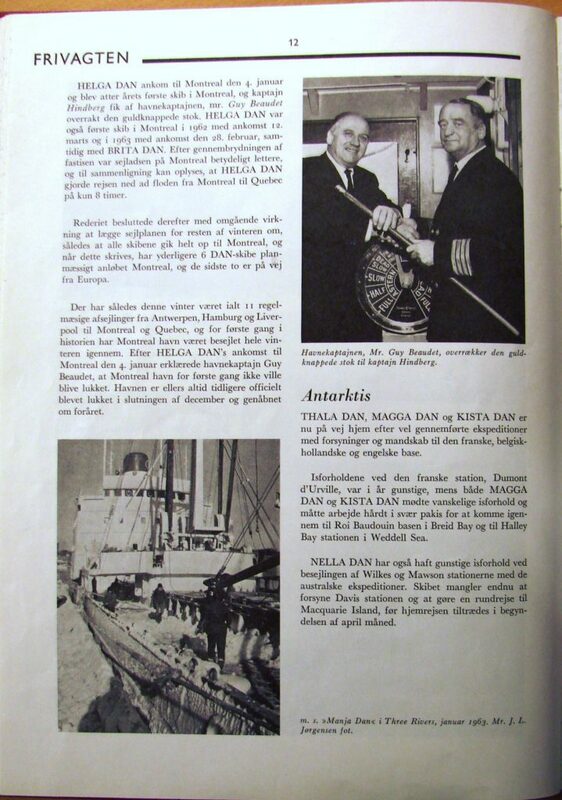 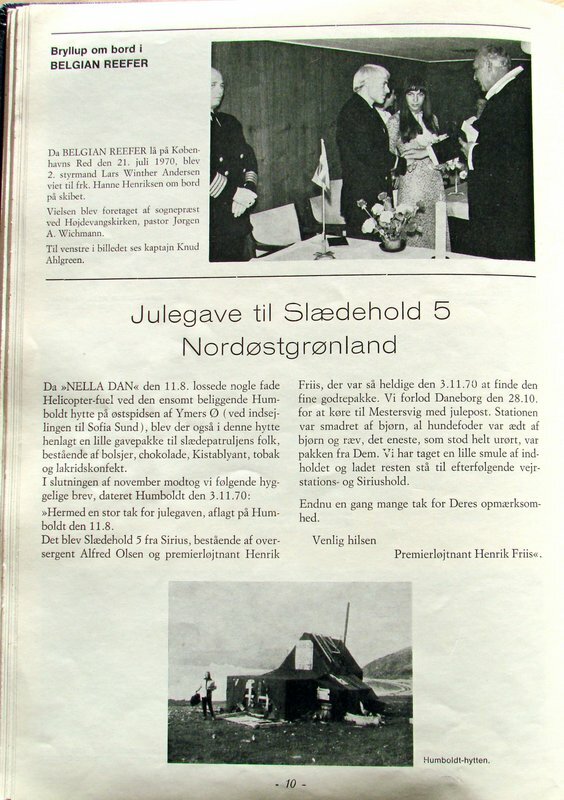 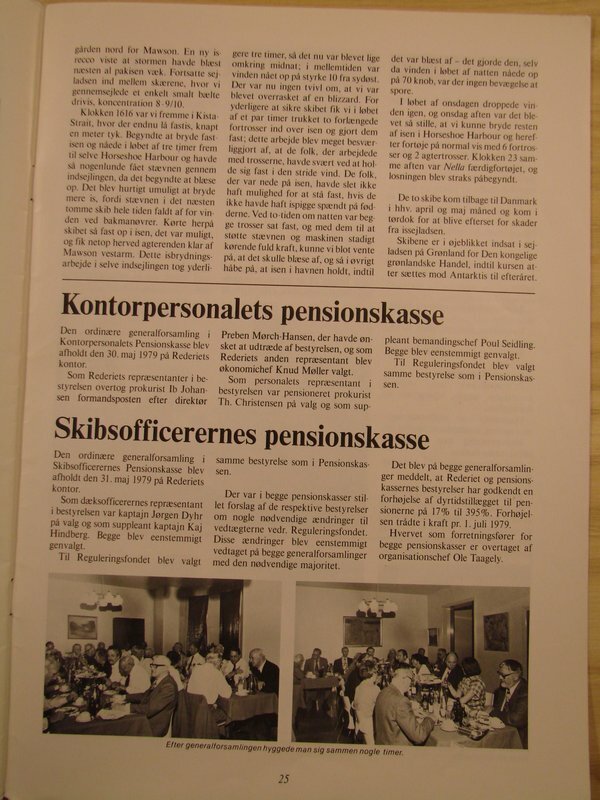 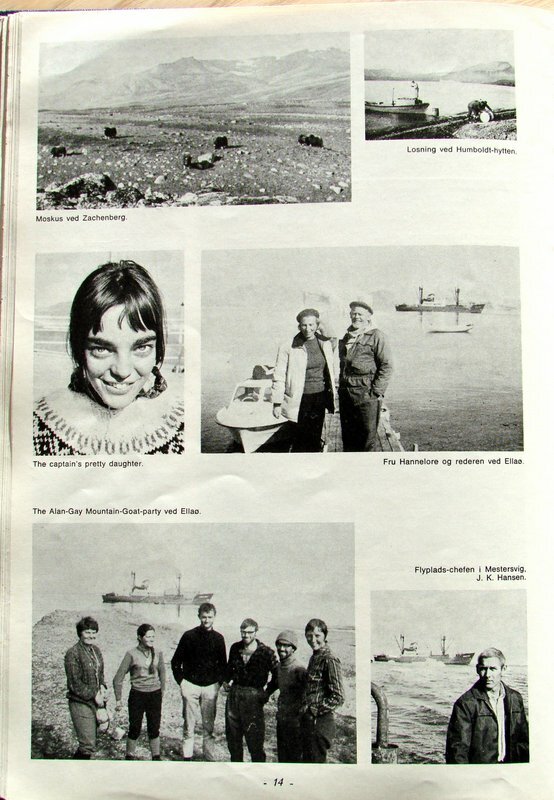 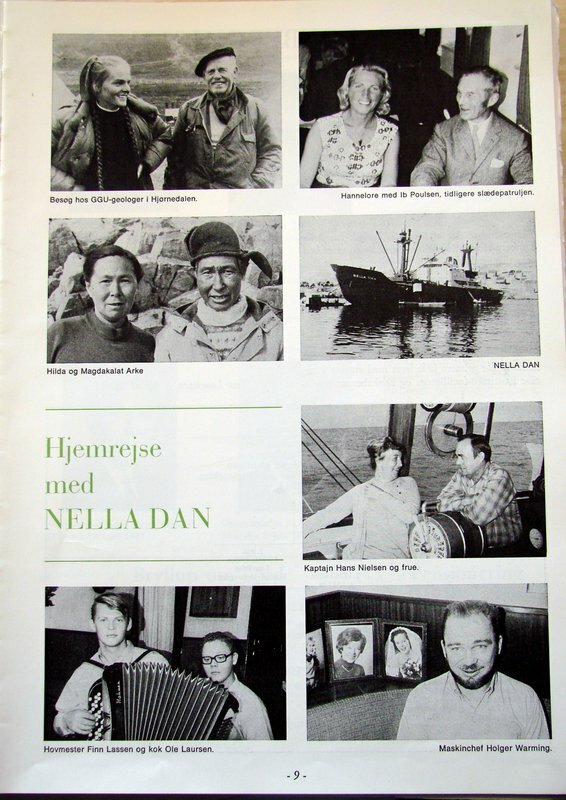 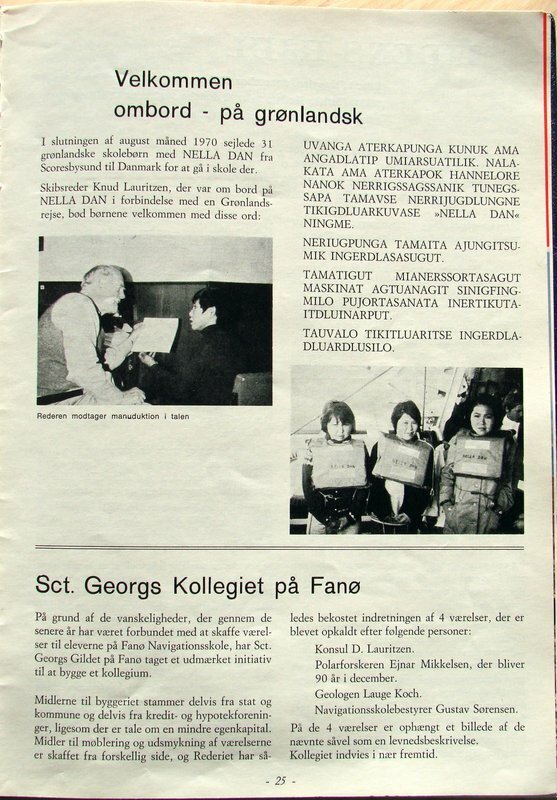 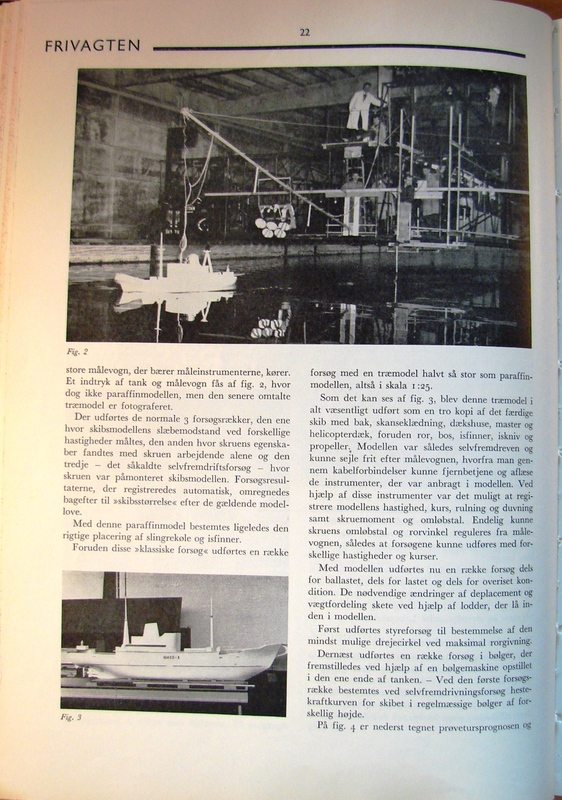 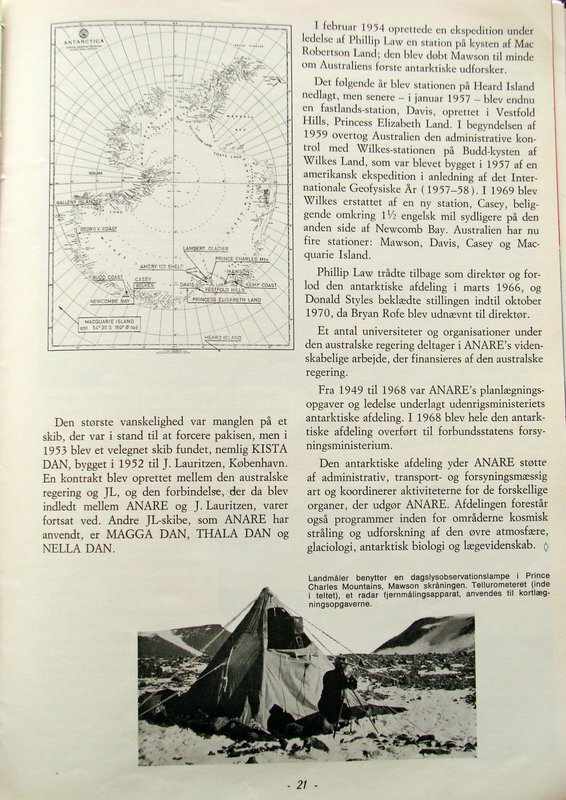 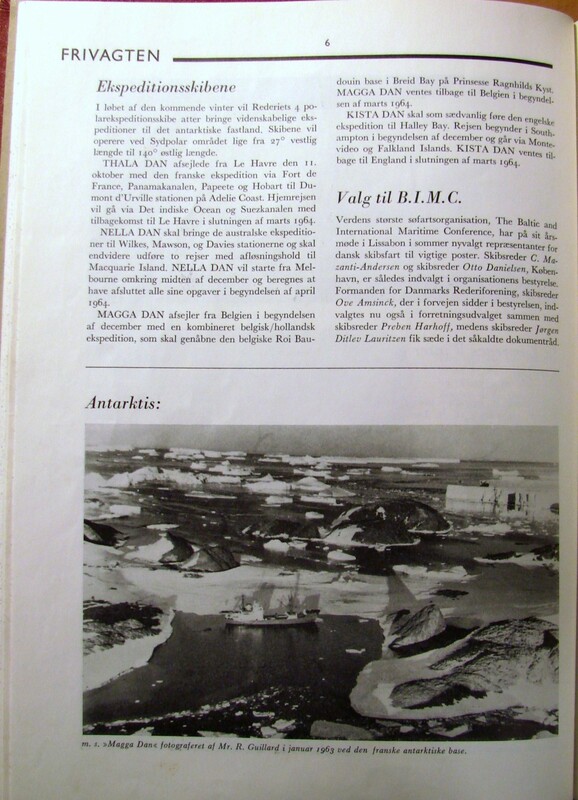 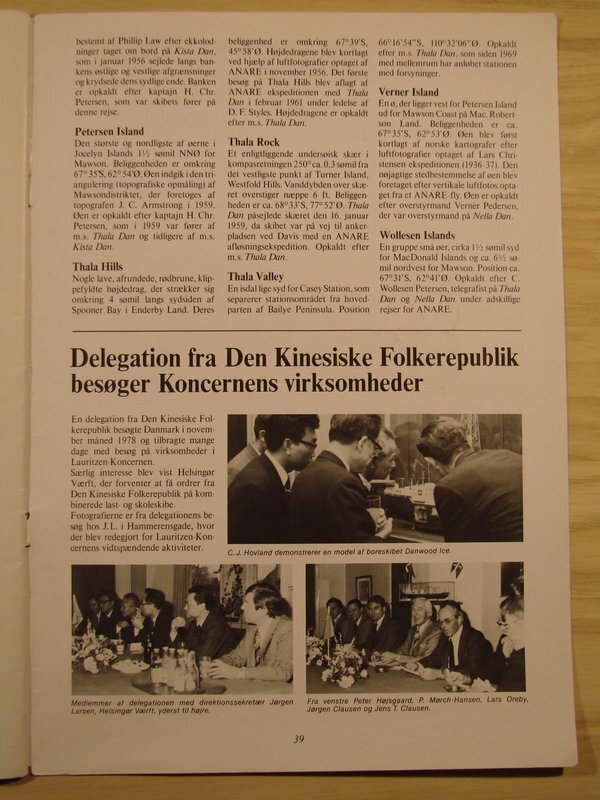 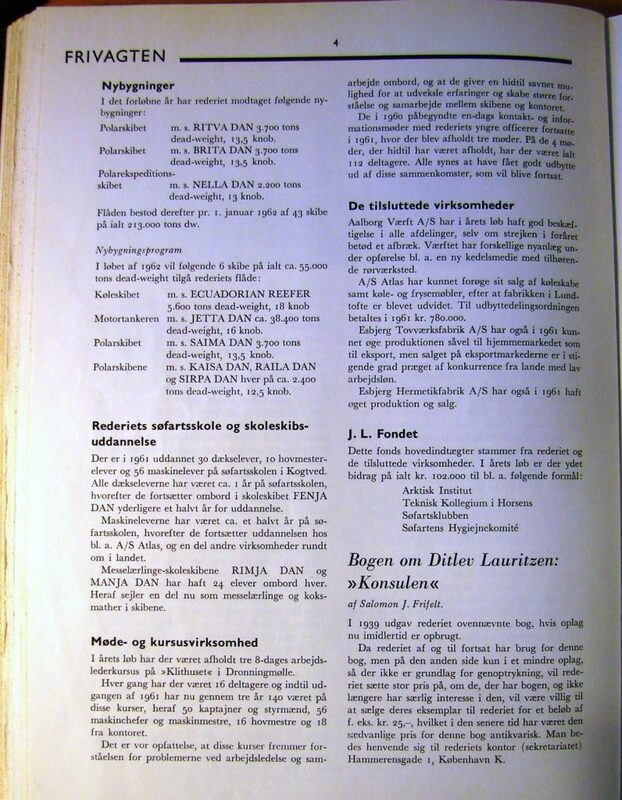 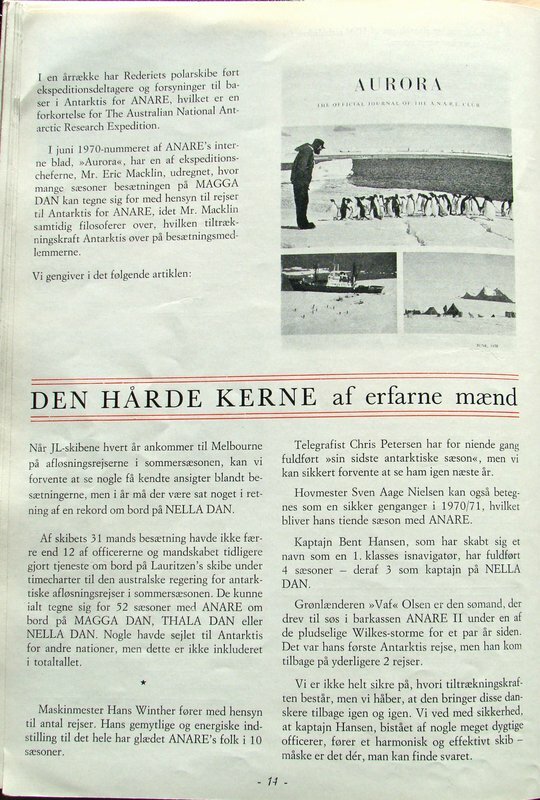 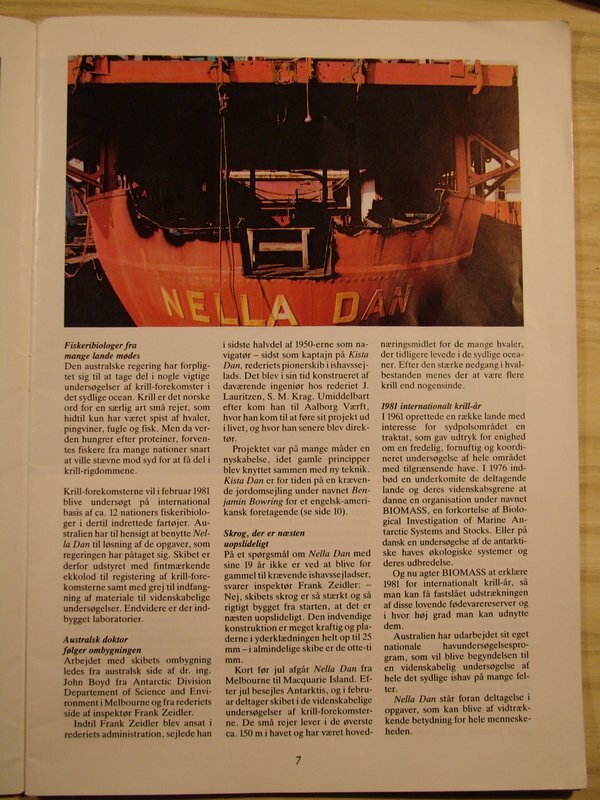 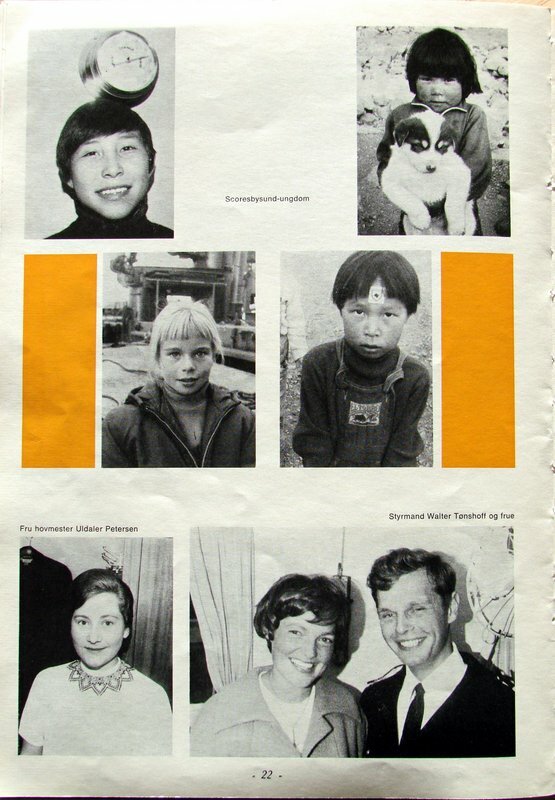 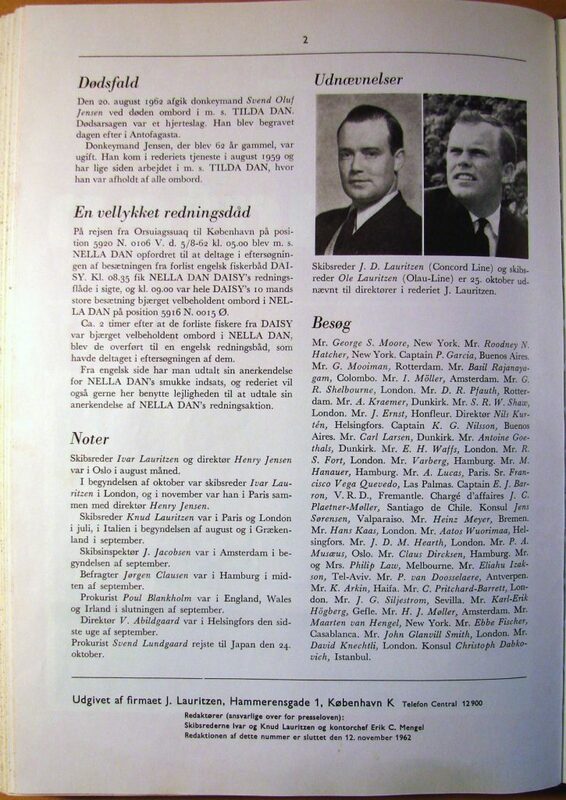 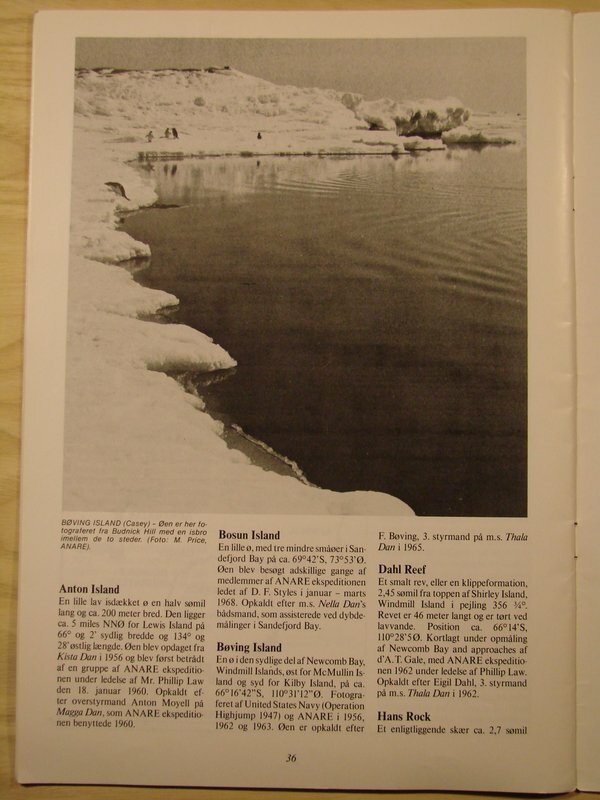 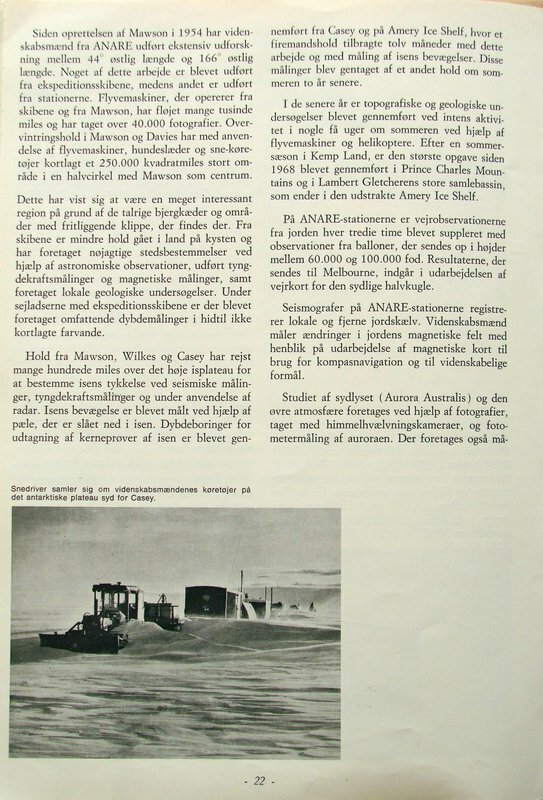 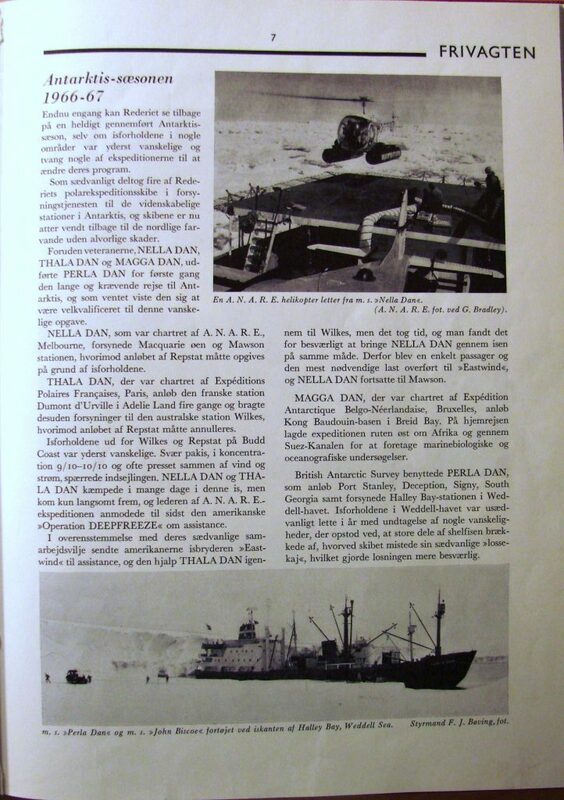 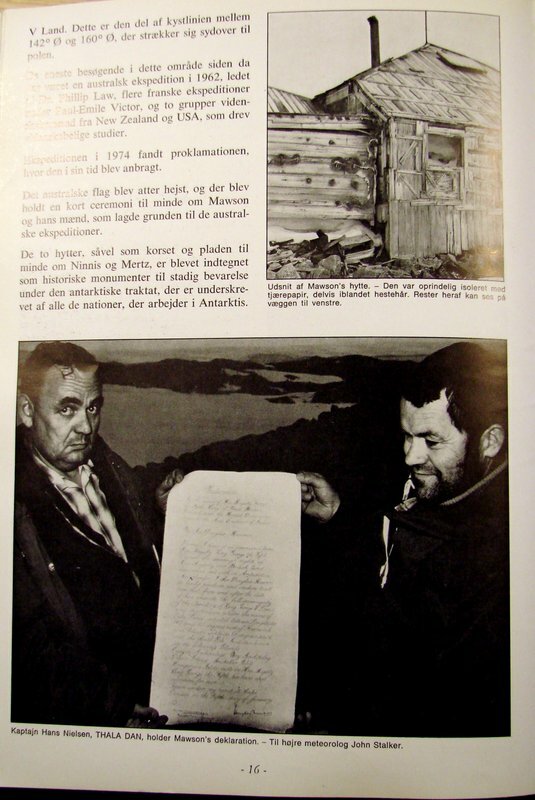 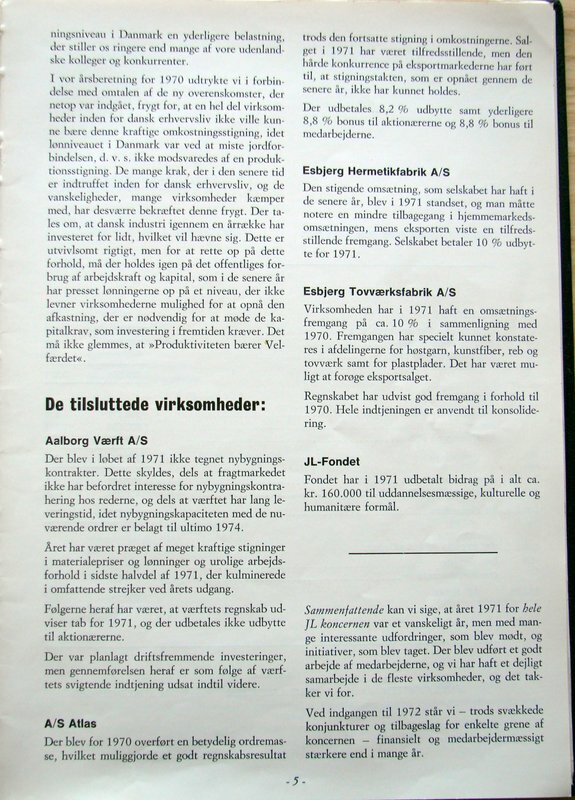 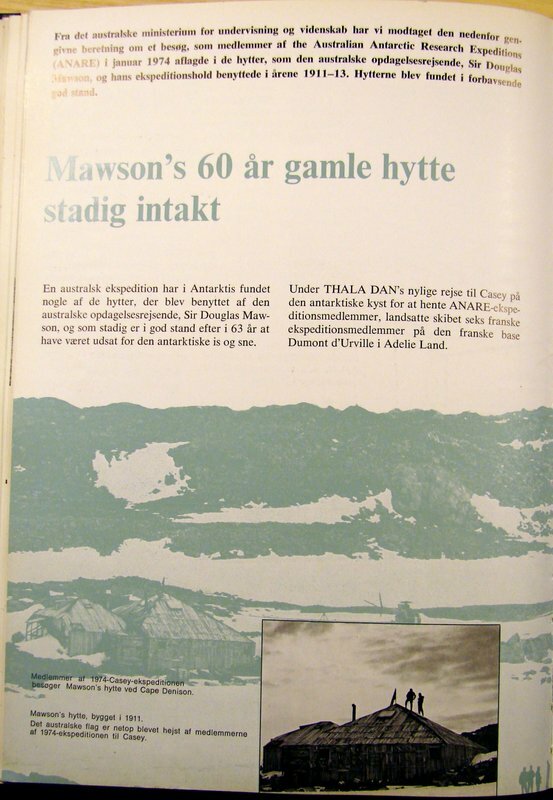 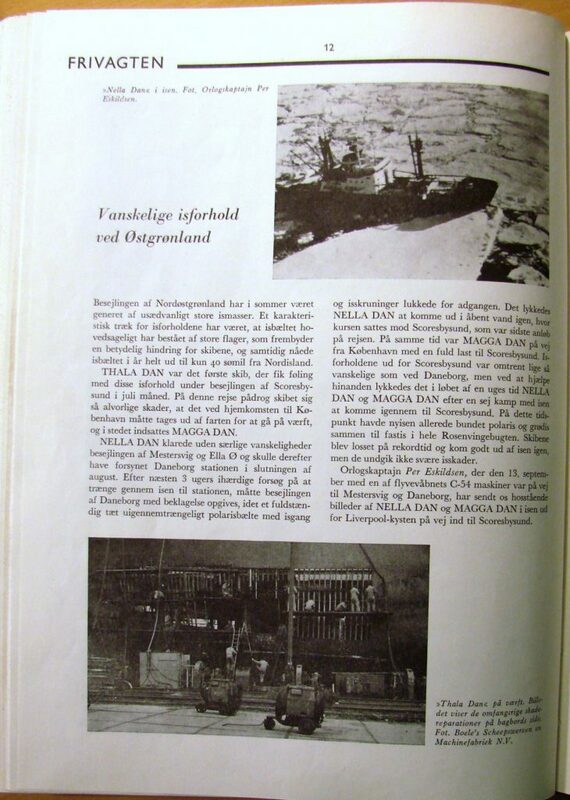 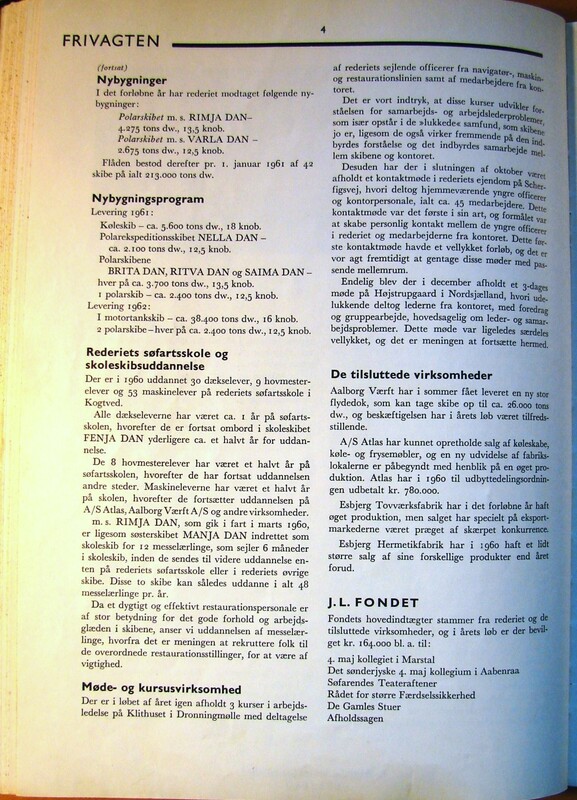 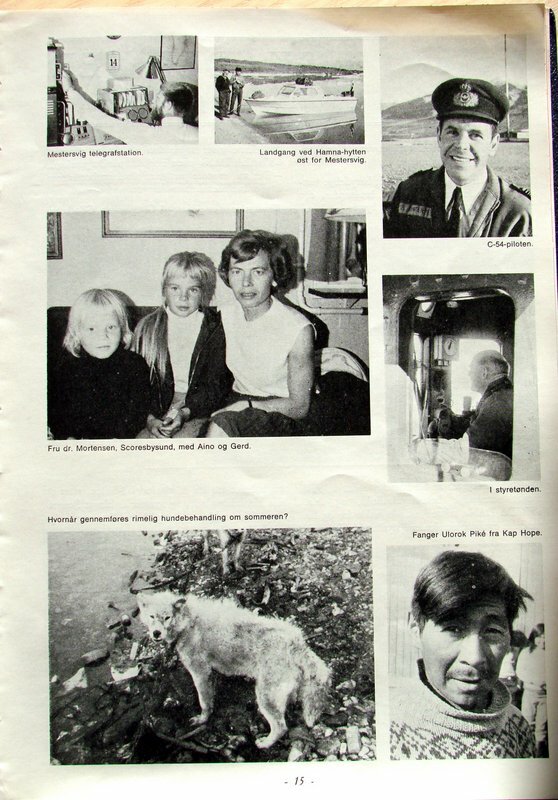 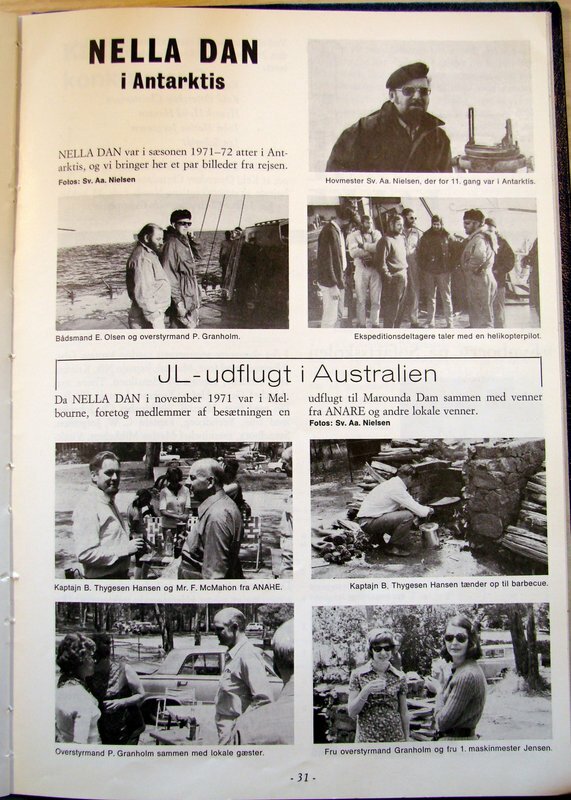 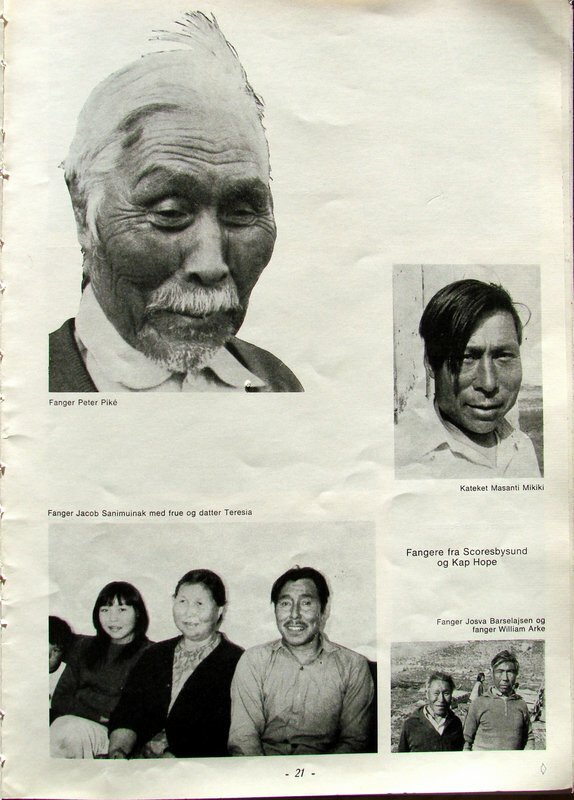 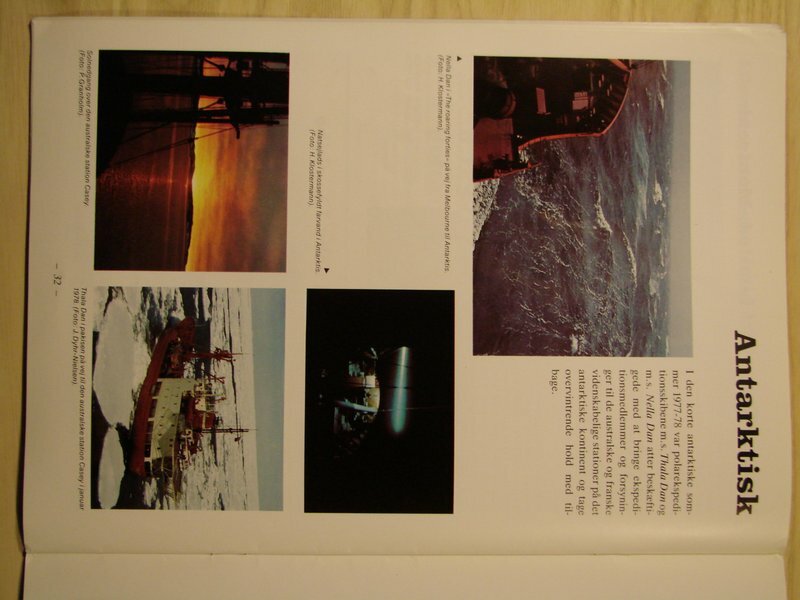 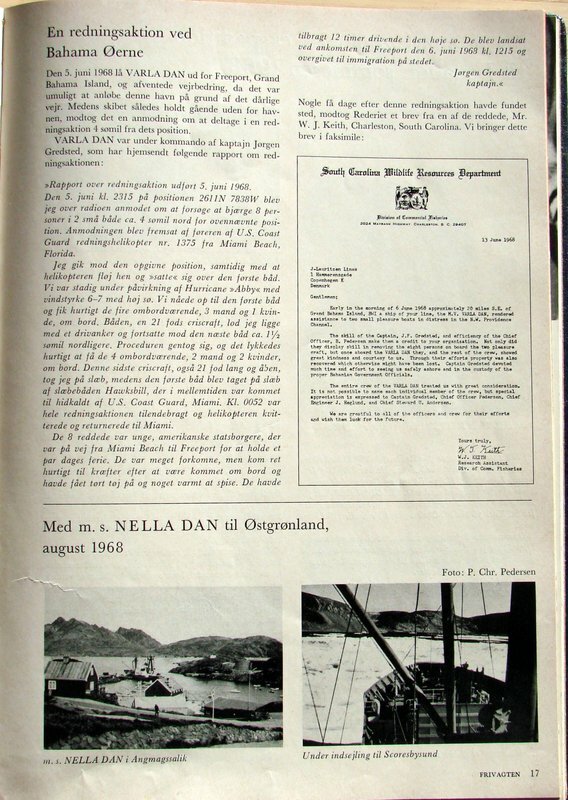 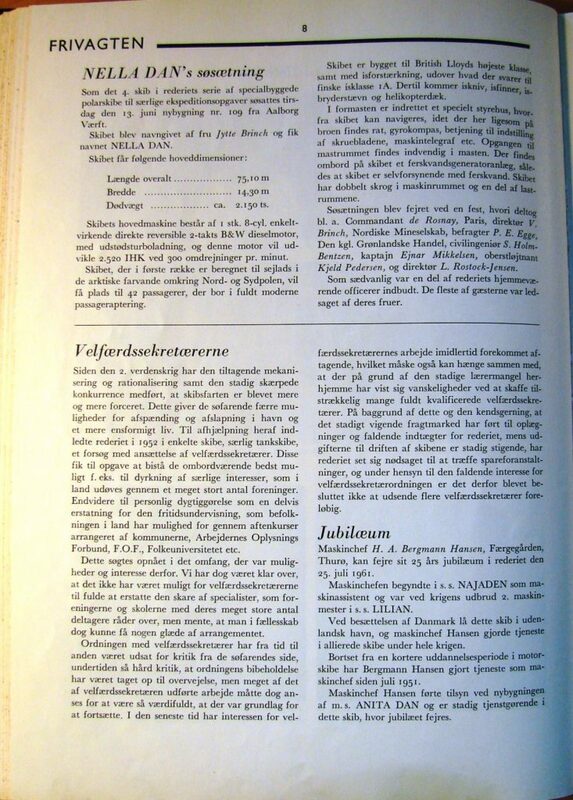 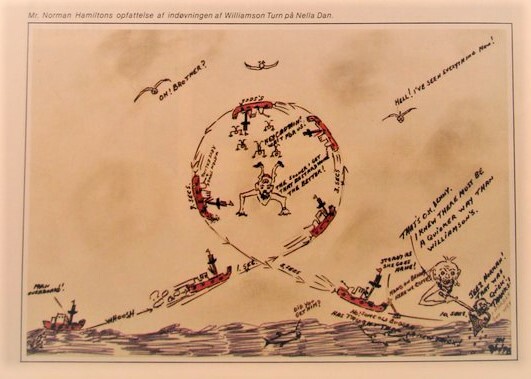 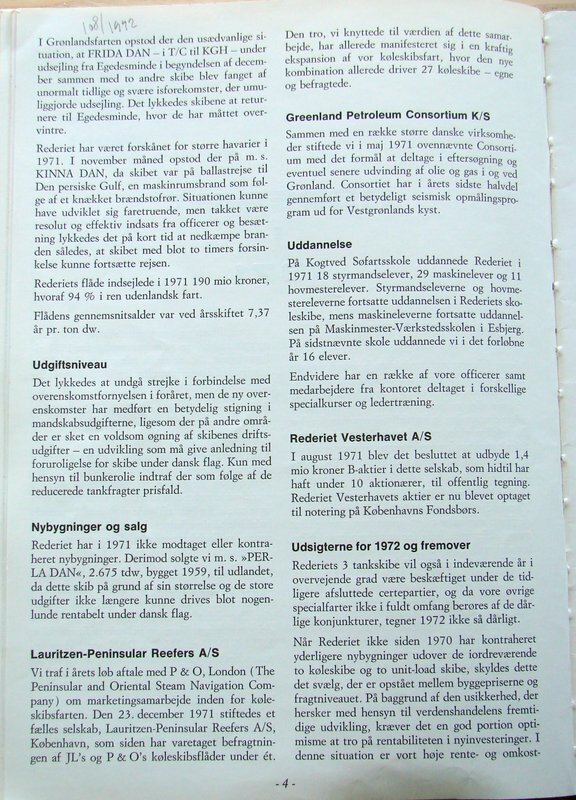 Below, you find a complete collection of the articles, photos and other coverage of Nella Dan published in Frivagten from 1960 to 1981.